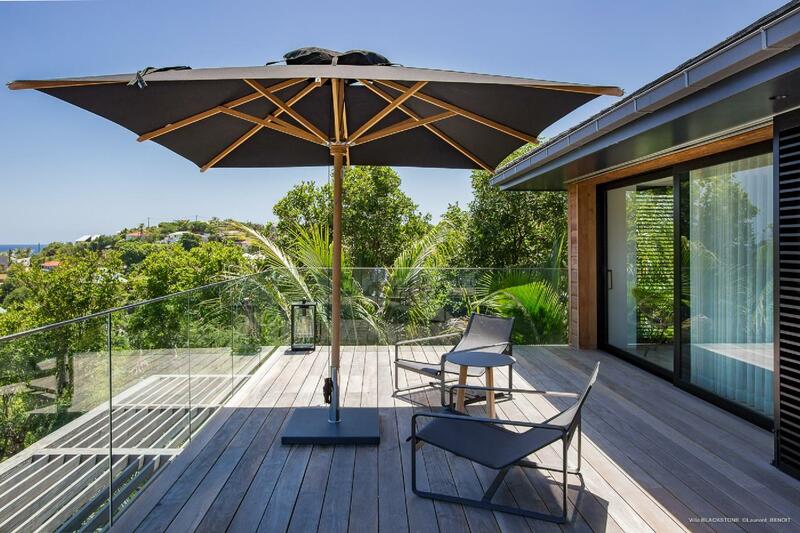 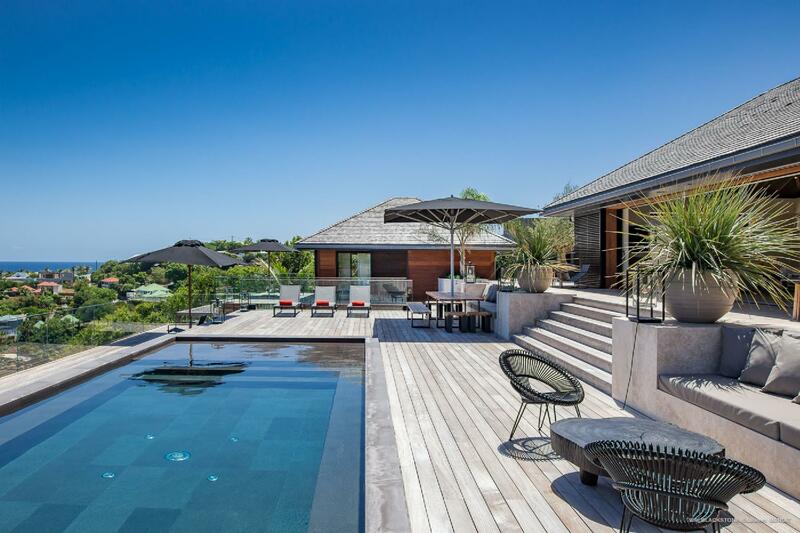 The architect of the newly built Villa Blackstone (BLS) pulled off a difficult balancing act with the luxury rental home. 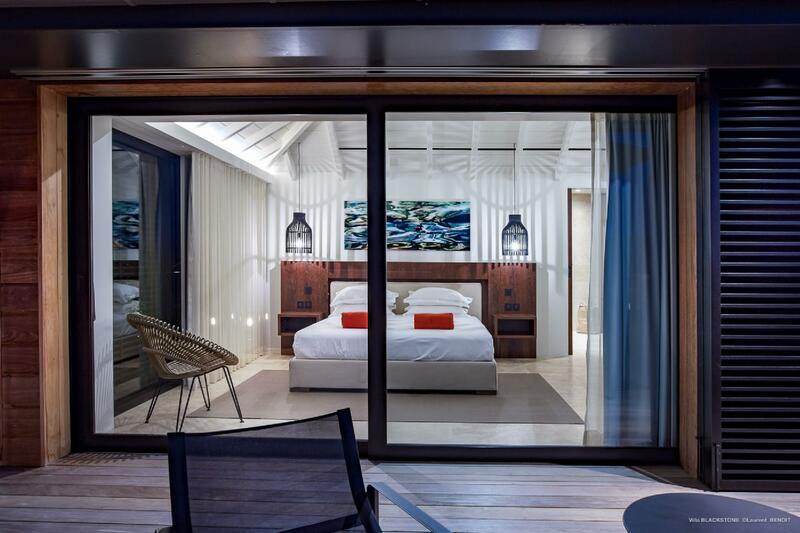 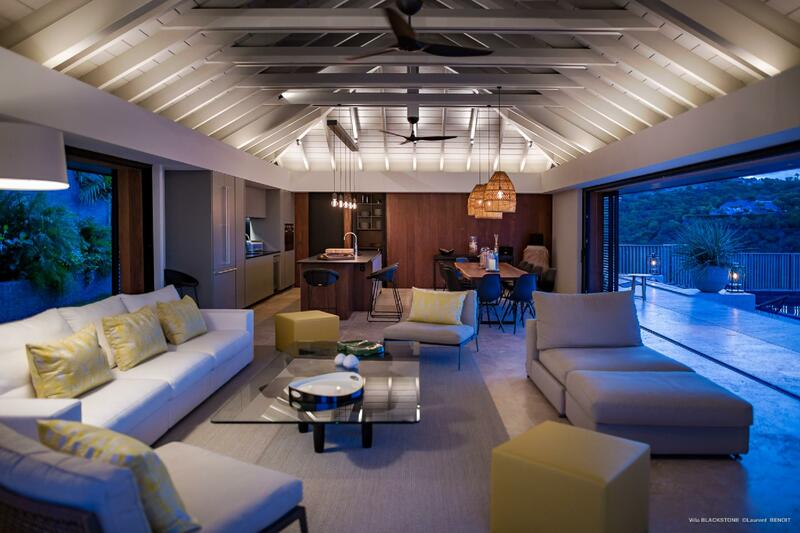 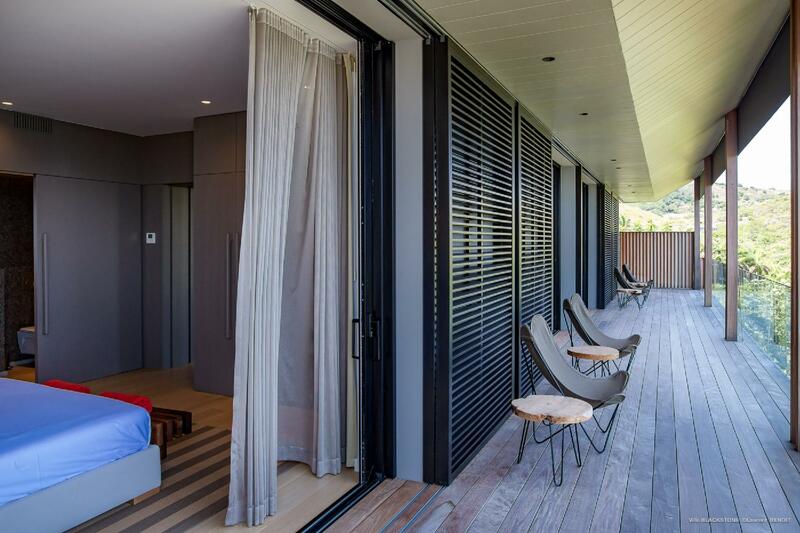 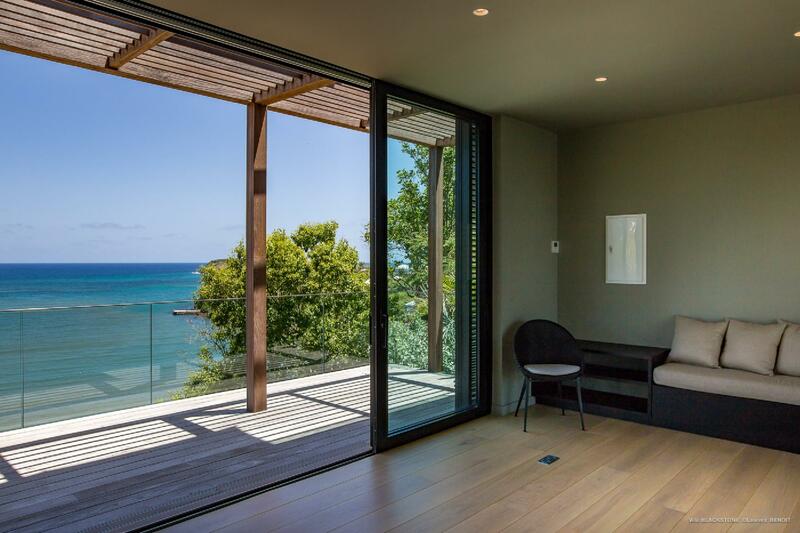 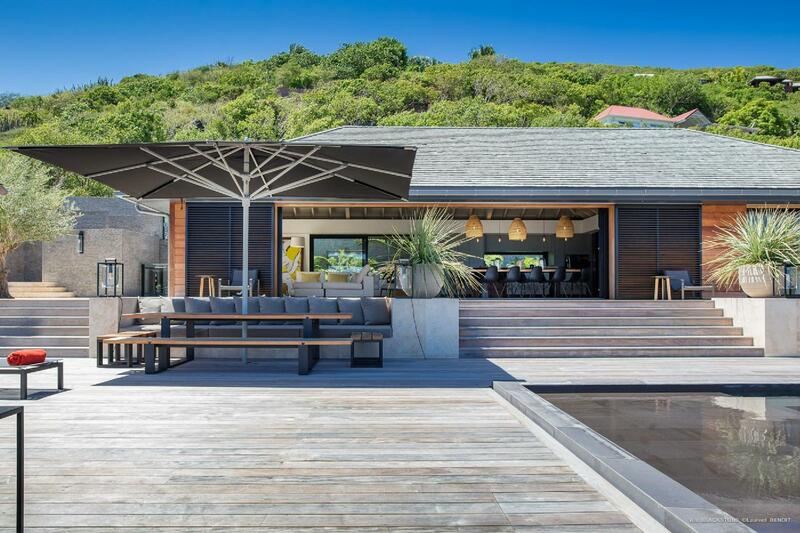 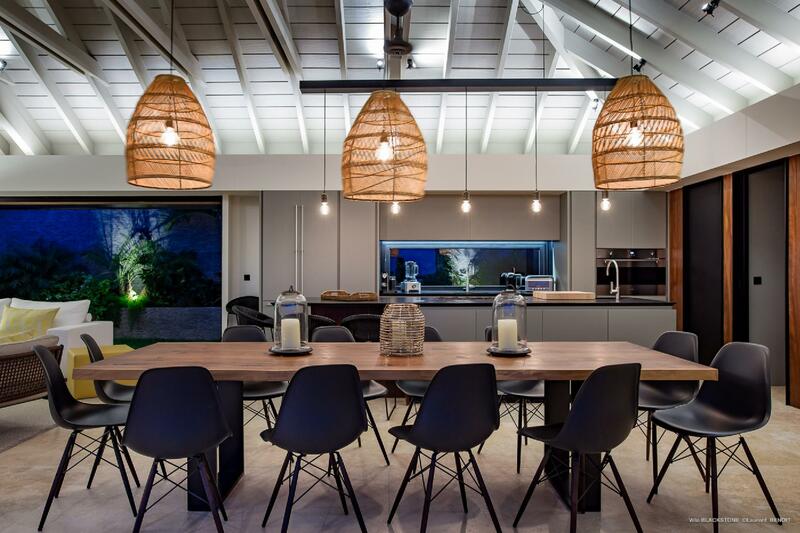 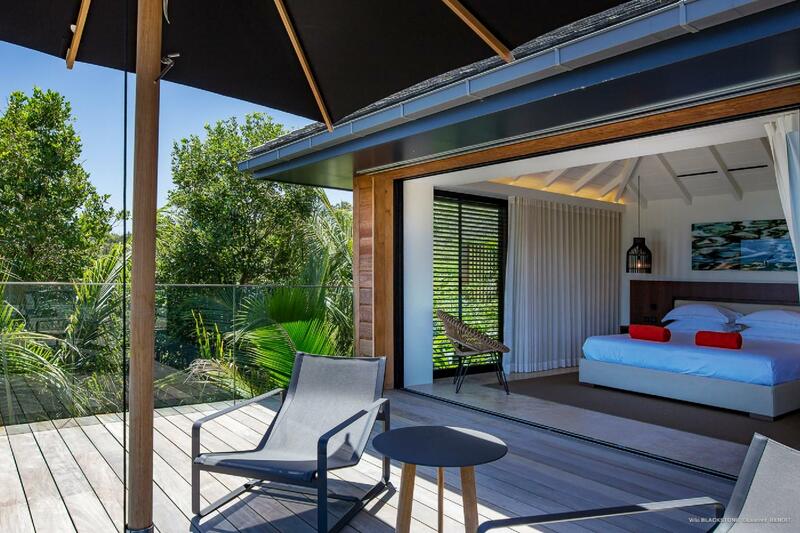 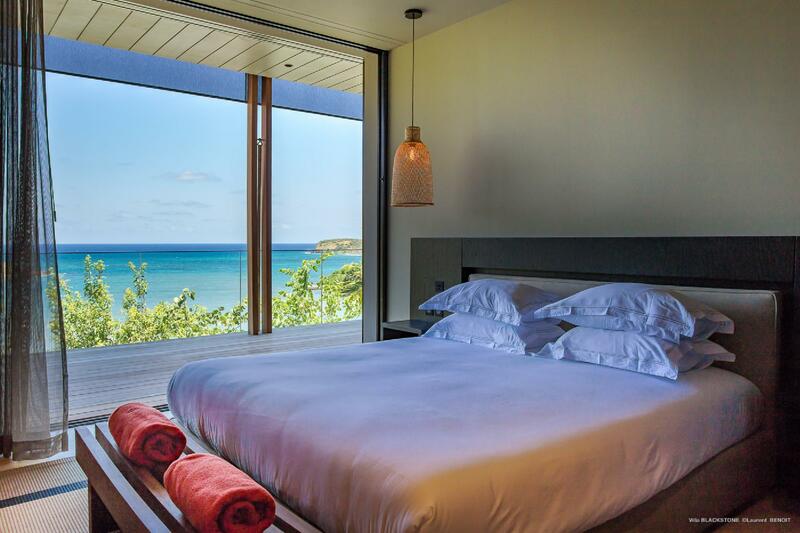 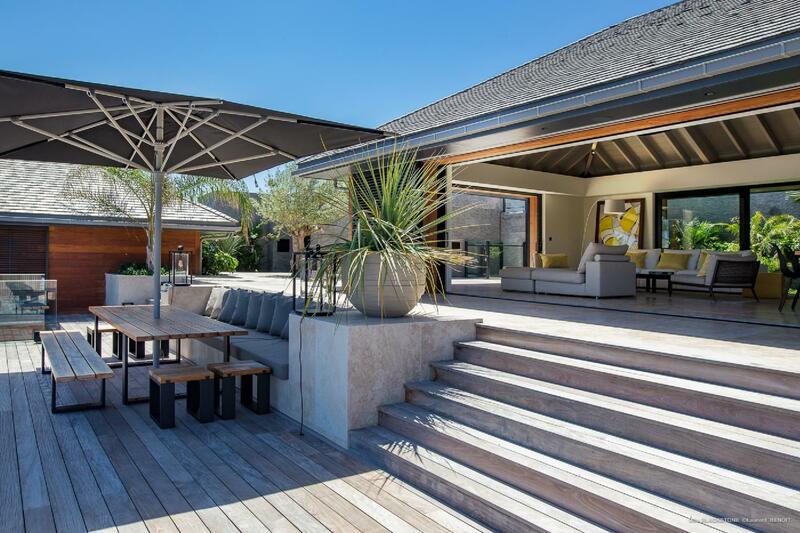 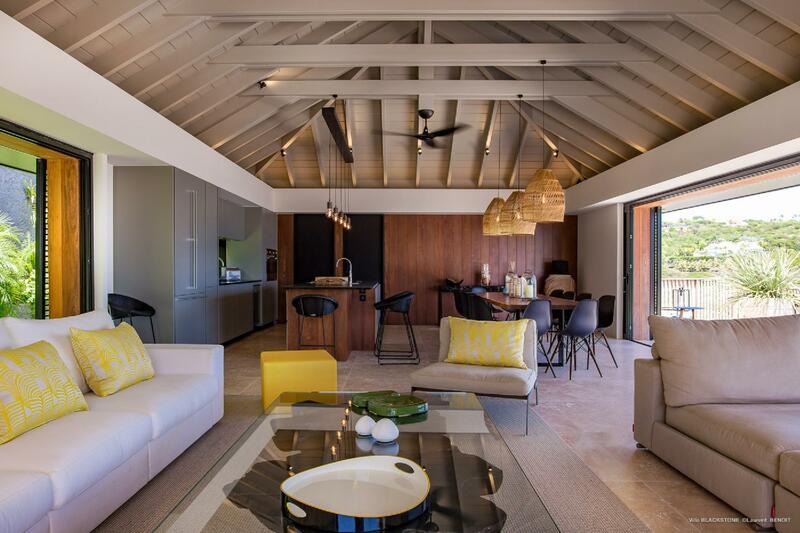 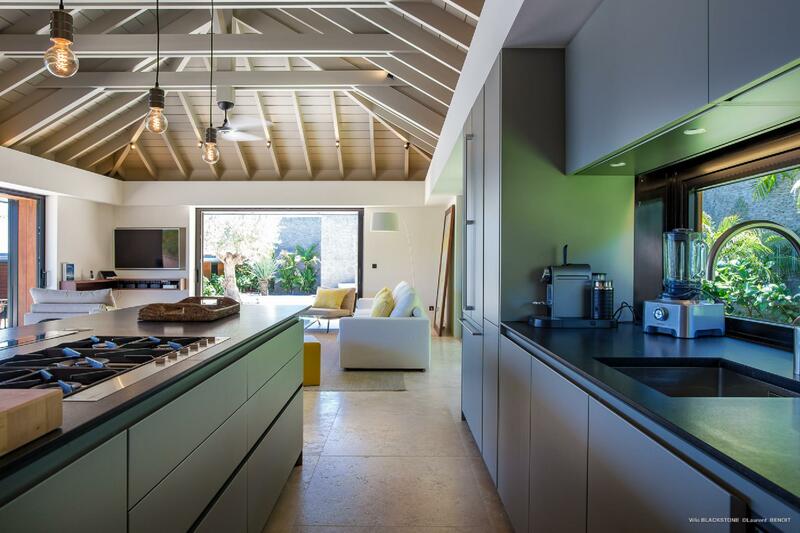 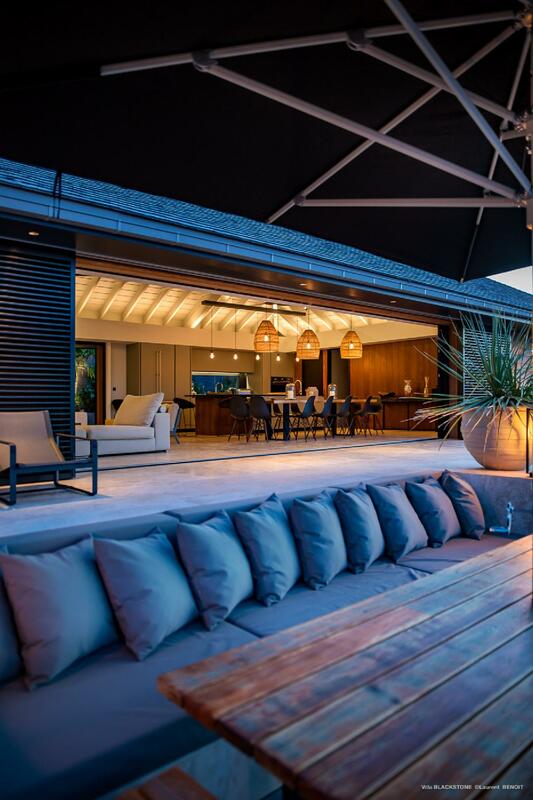 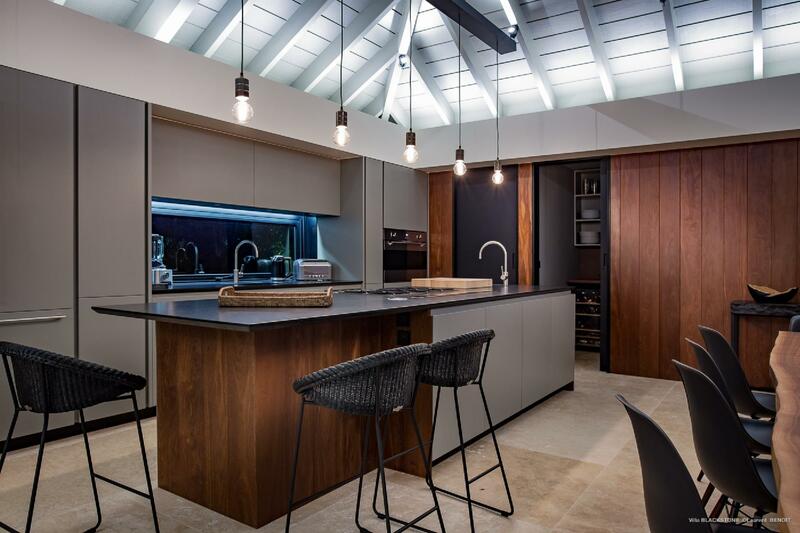 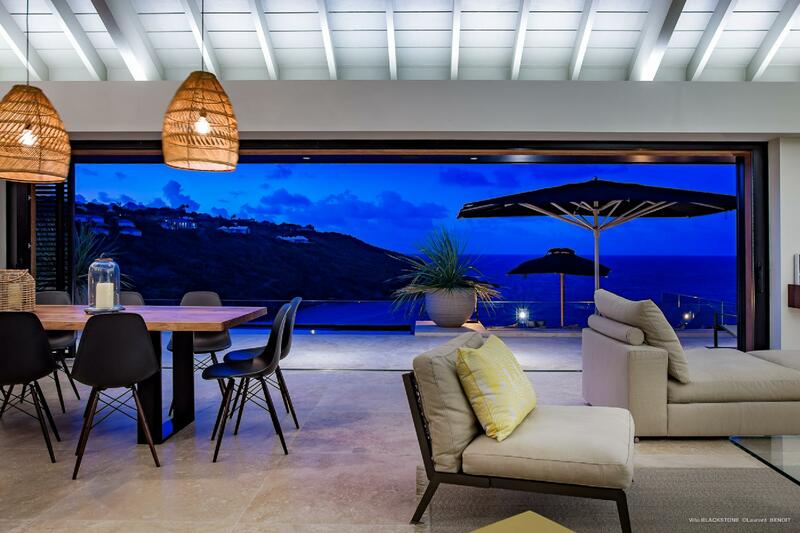 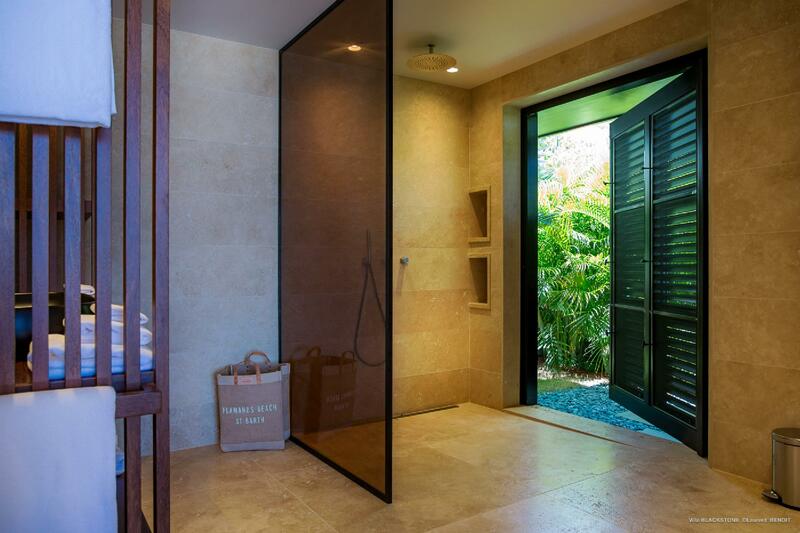 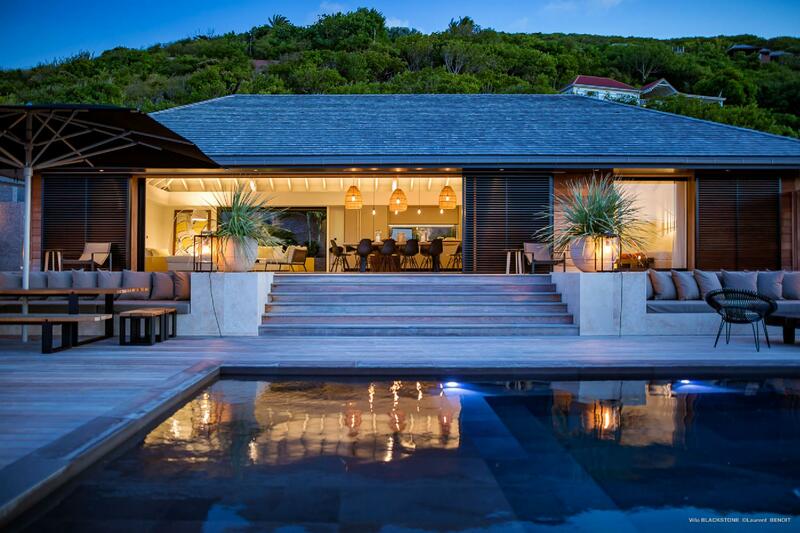 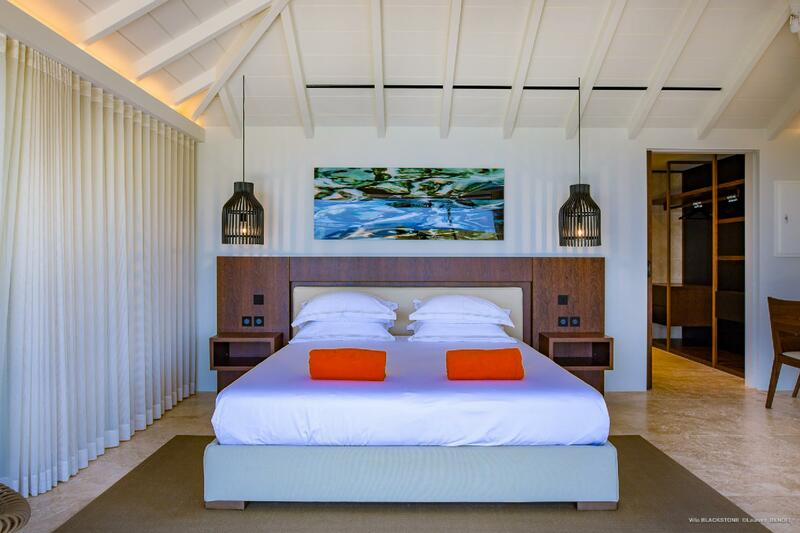 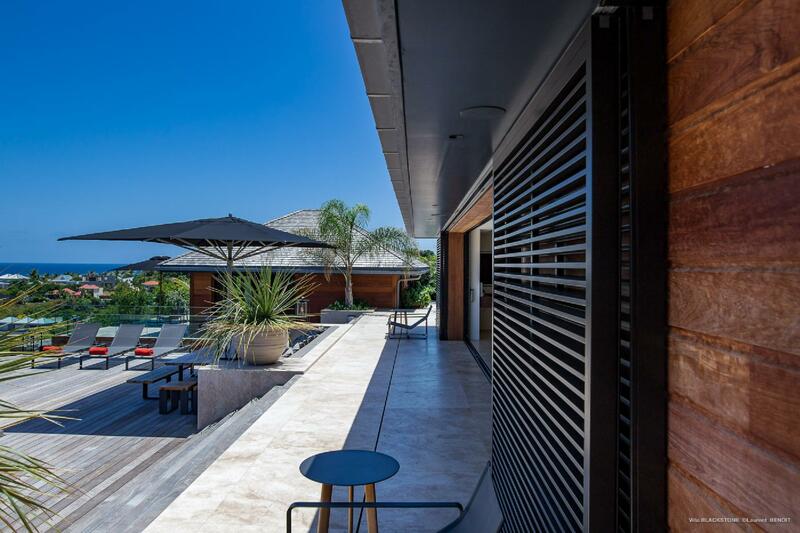 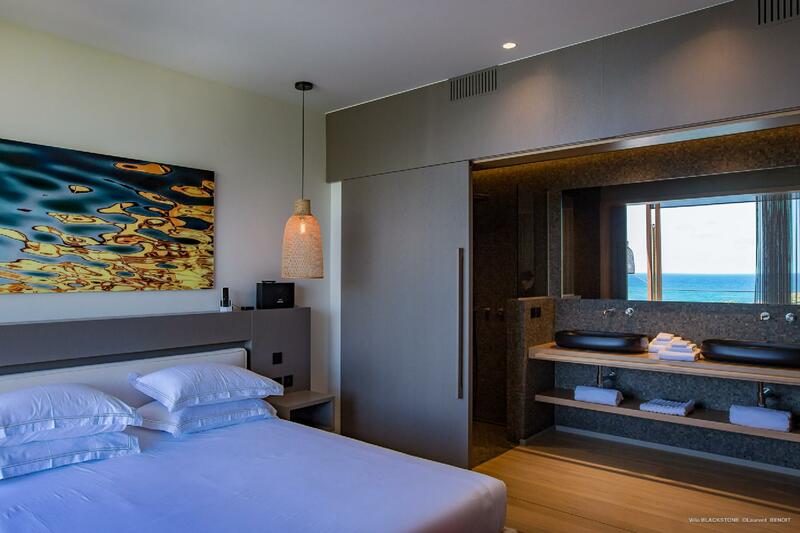 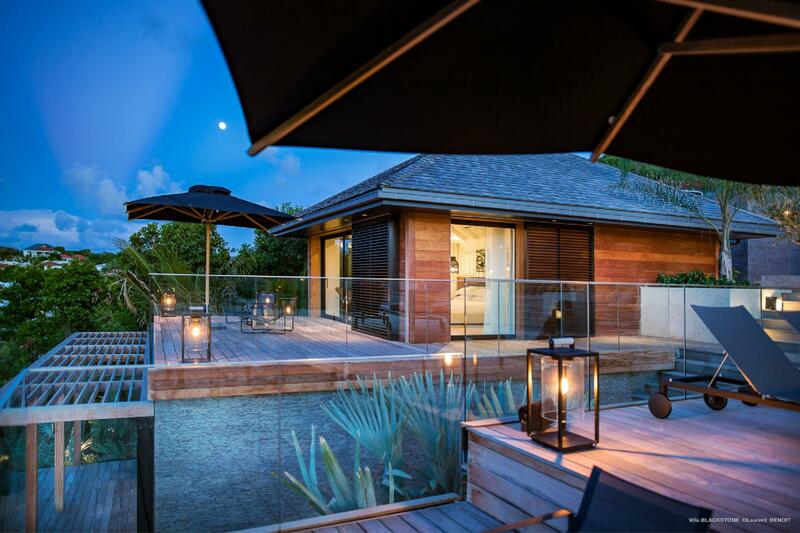 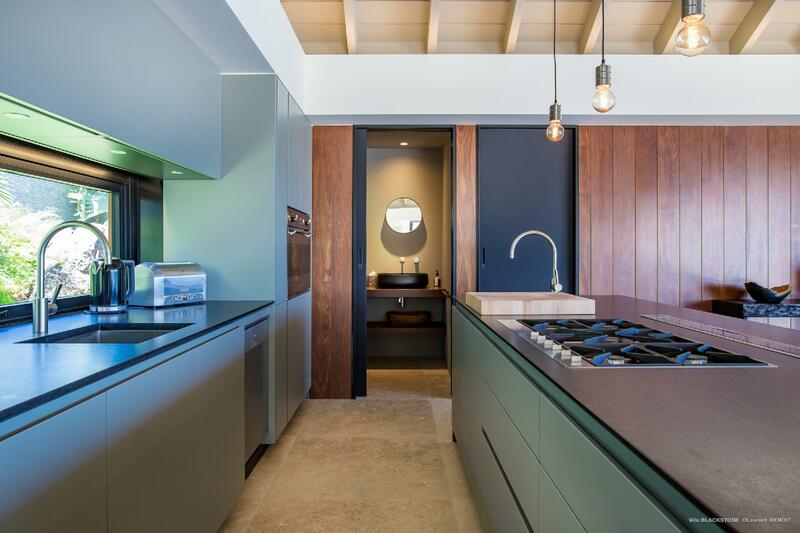 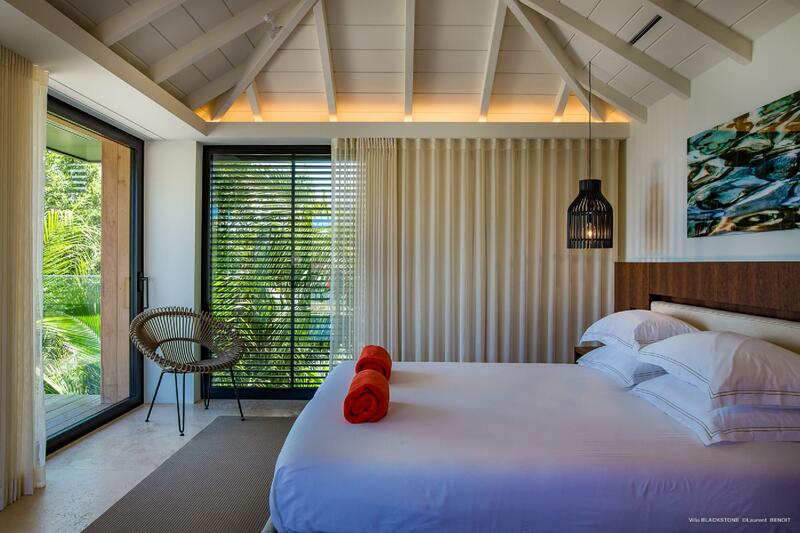 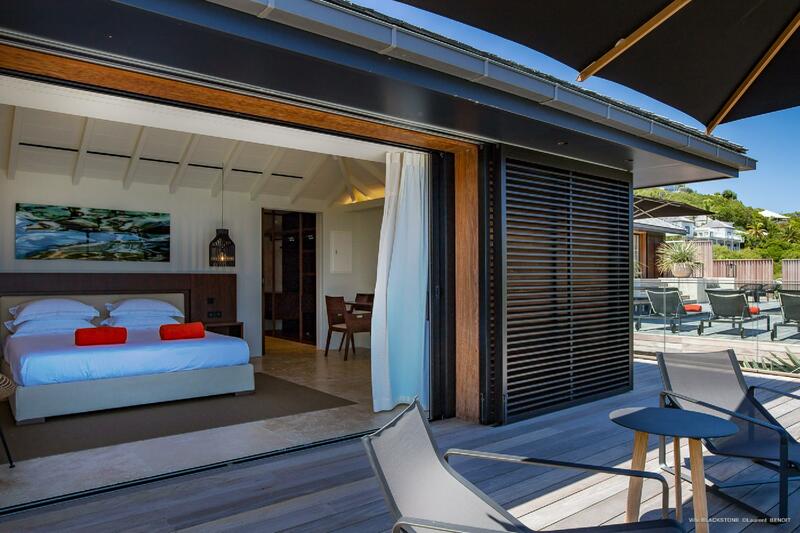 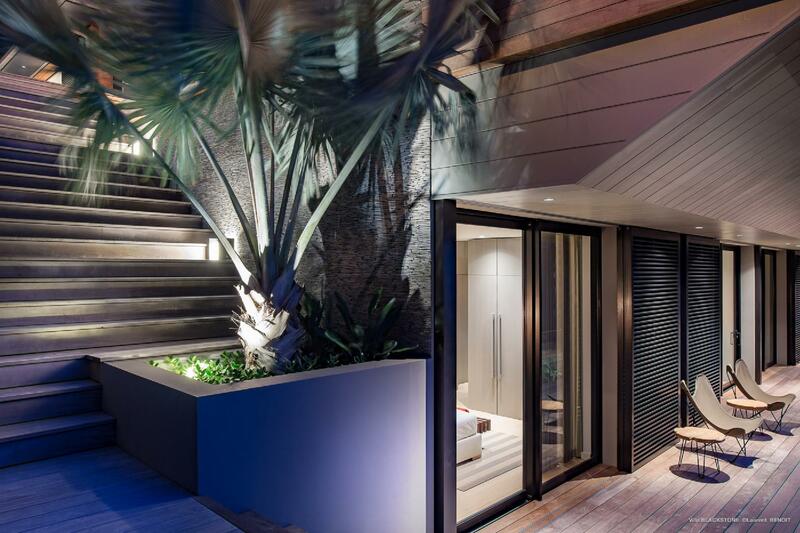 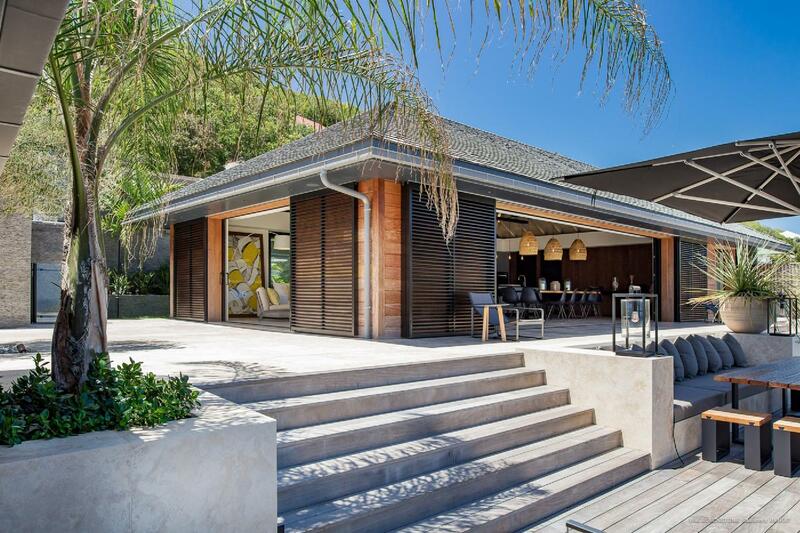 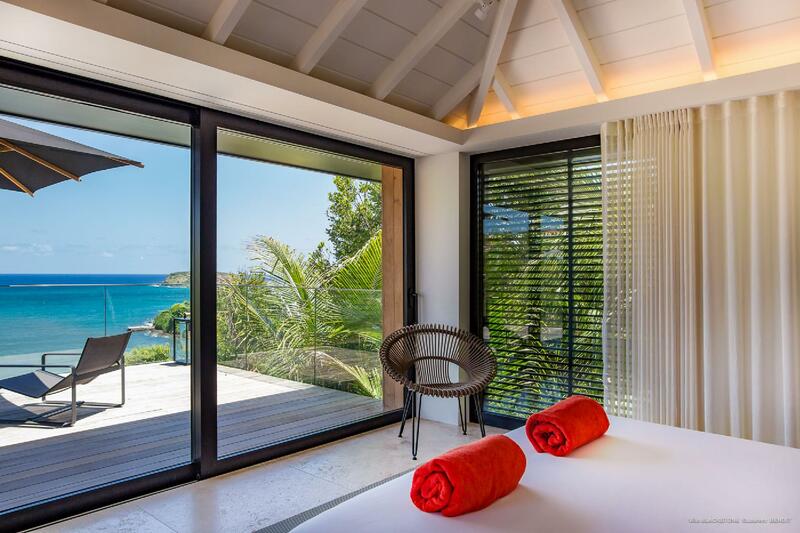 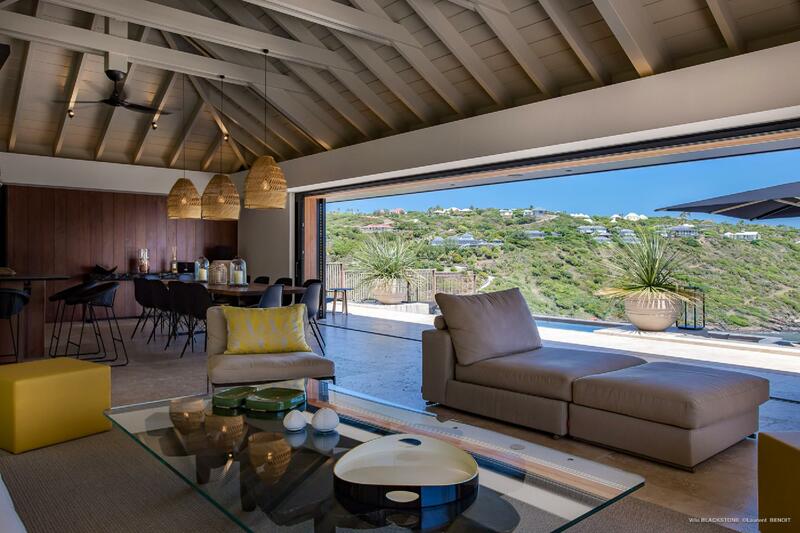 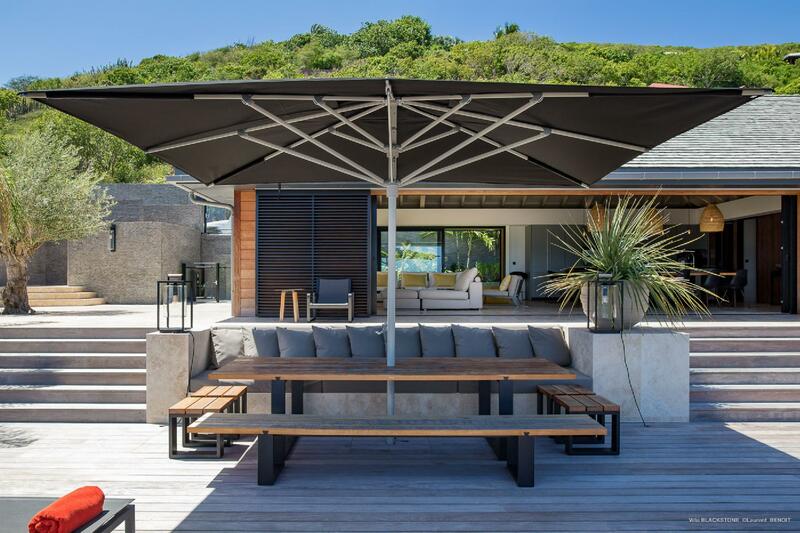 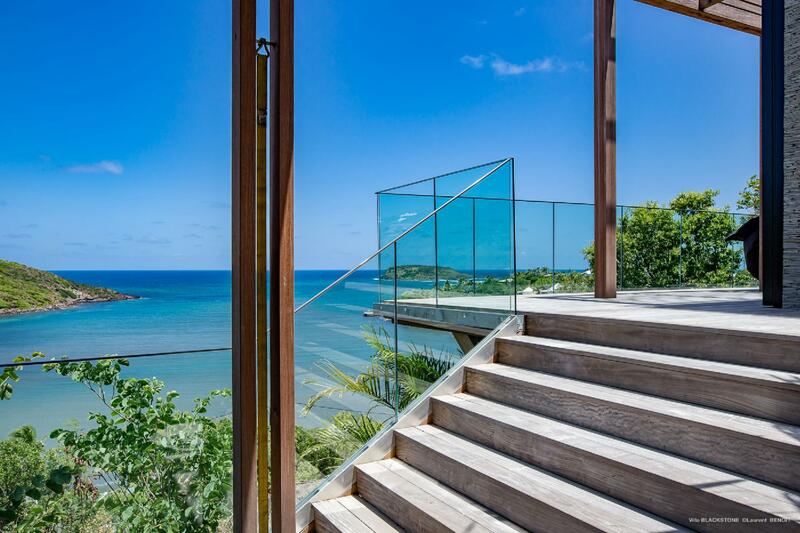 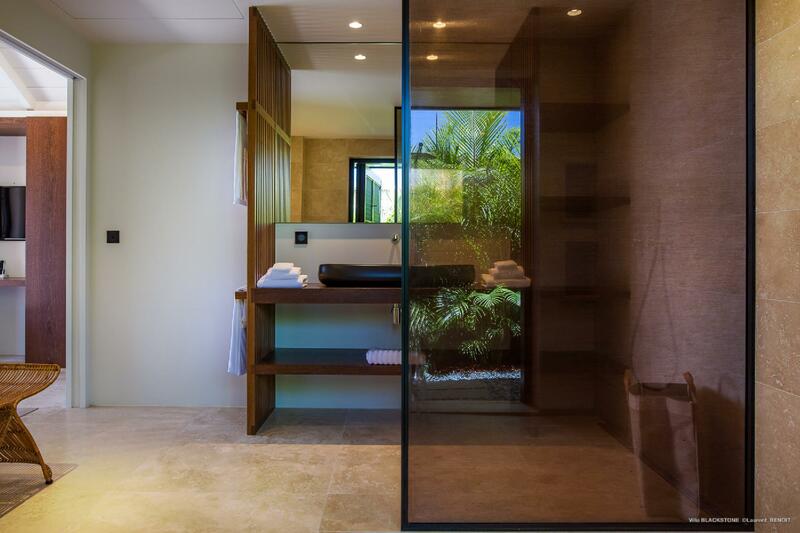 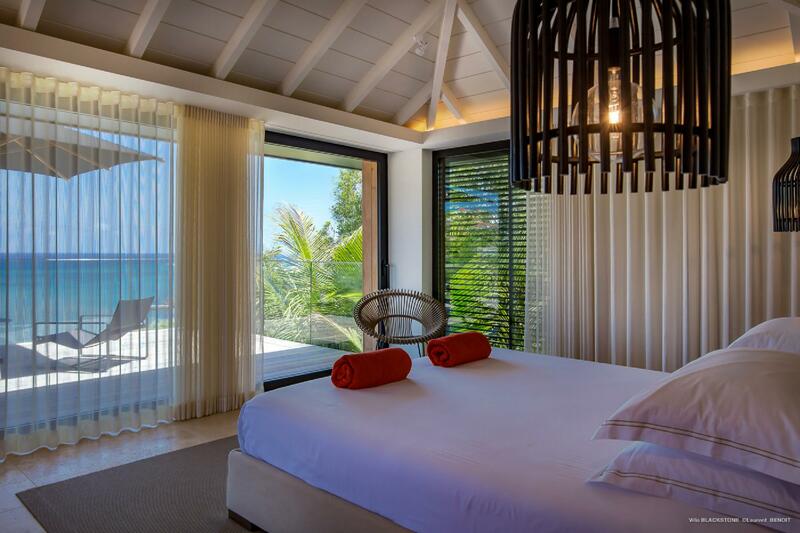 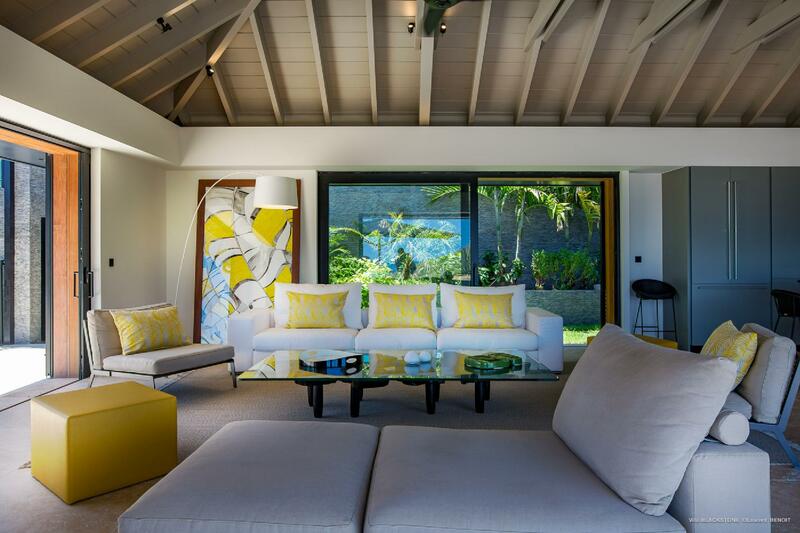 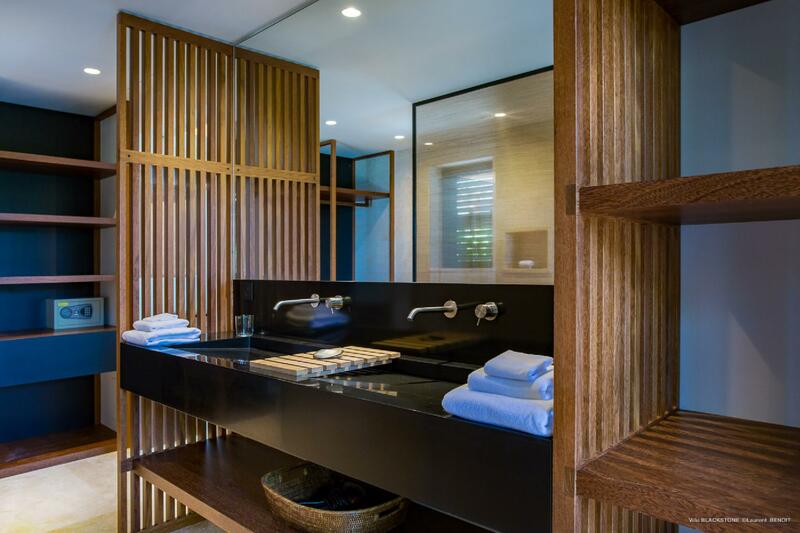 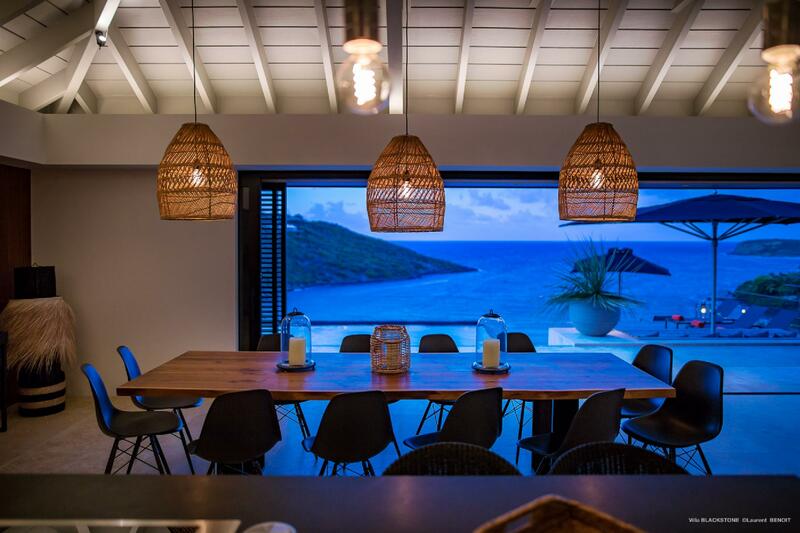 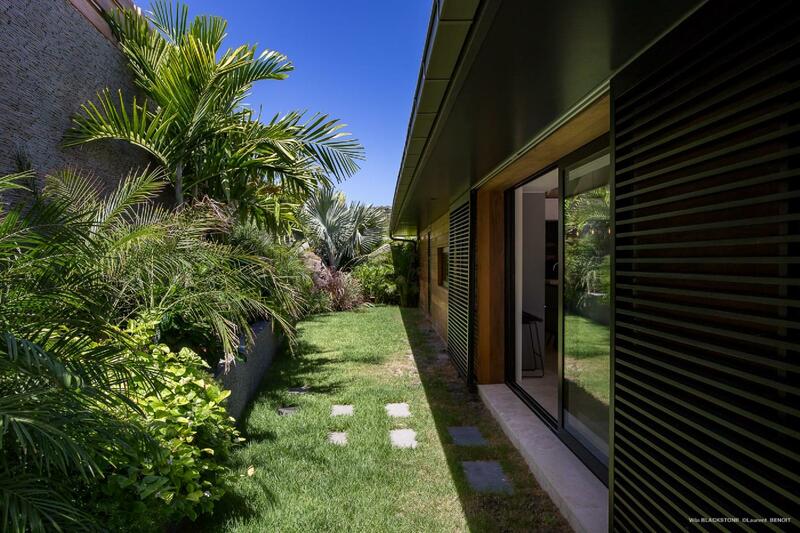 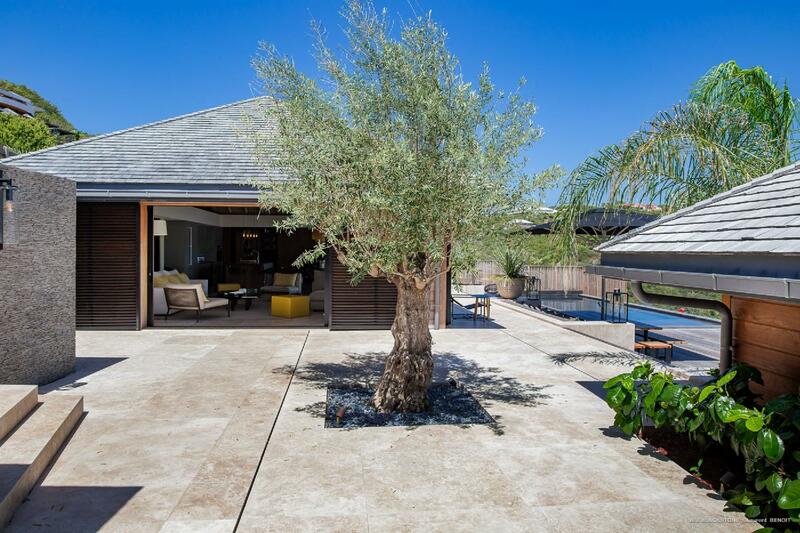 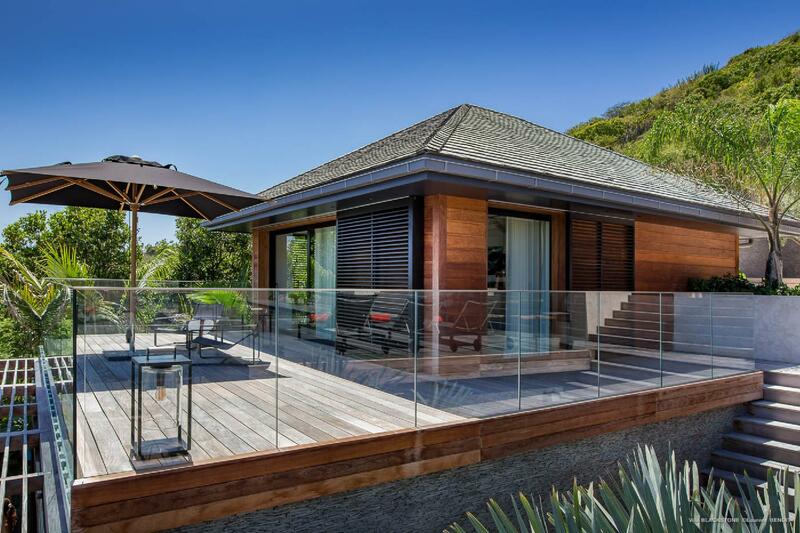 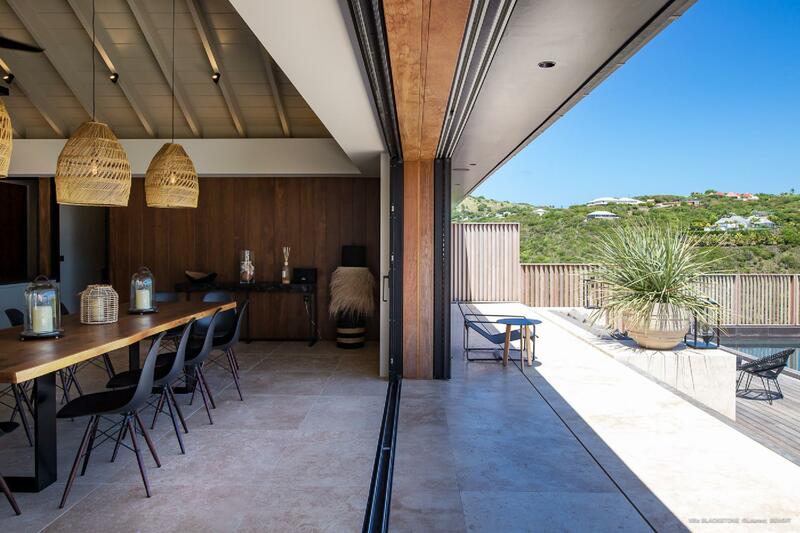 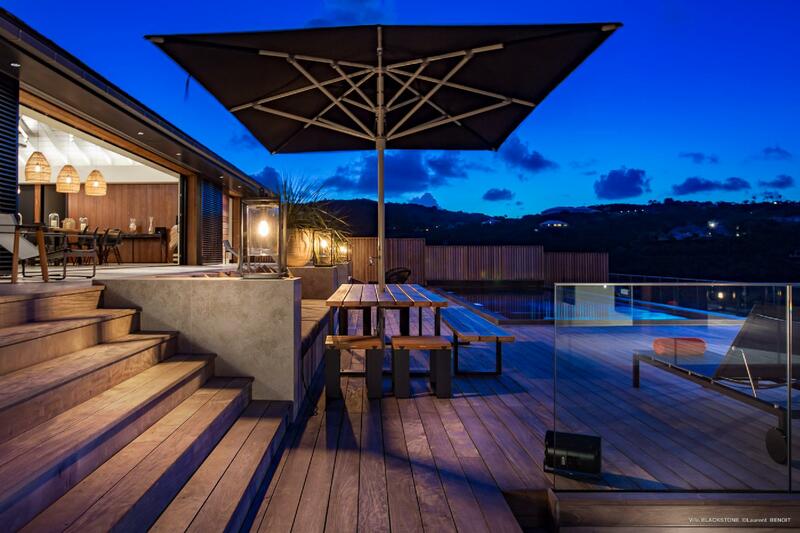 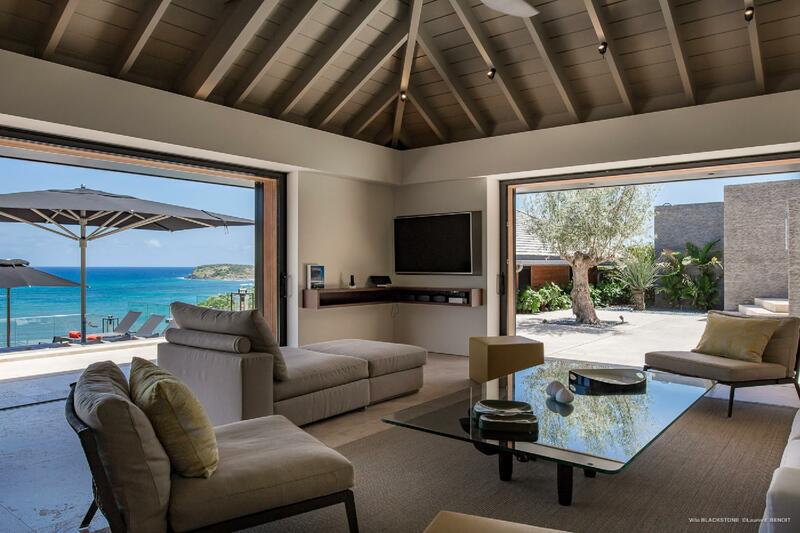 The design is modern and stylish, full of clean lines and natural materials, and yet the villa retains a classically Caribbean feel, with its vaulted timber ceilings and gorgeous views over Marigot Bay from every corner. 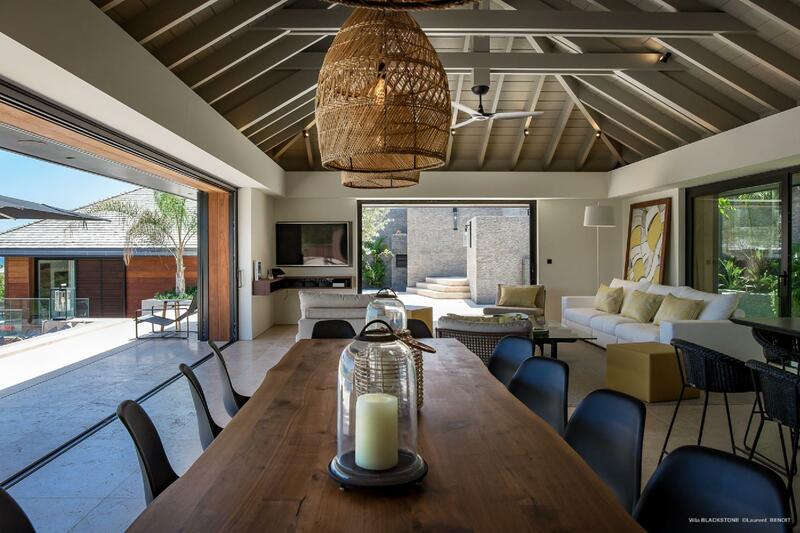 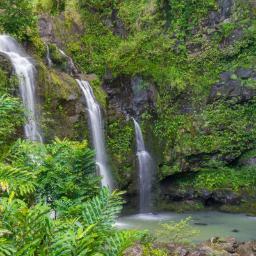 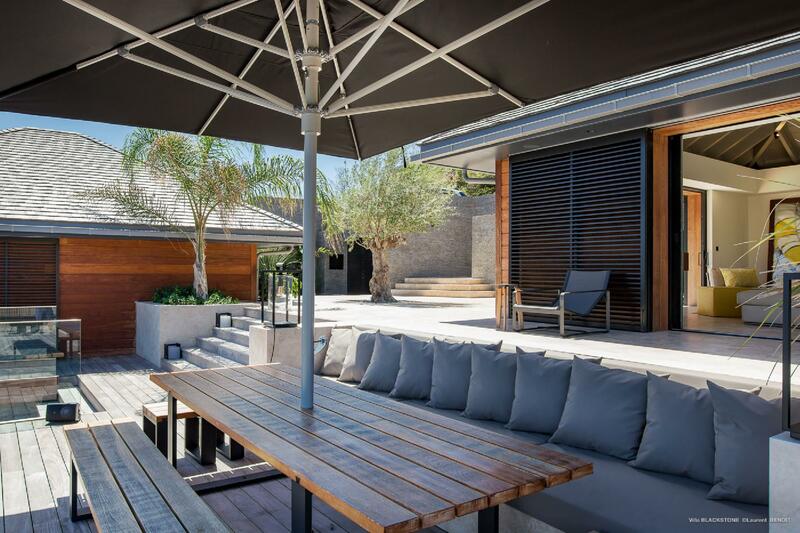 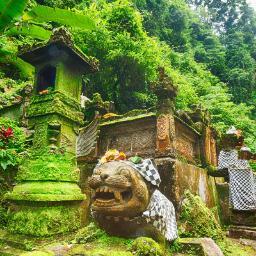 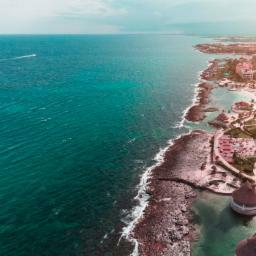 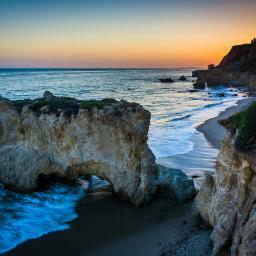 The six-bedroom vacation property is well suited to a group of friends or a multigenerational family. 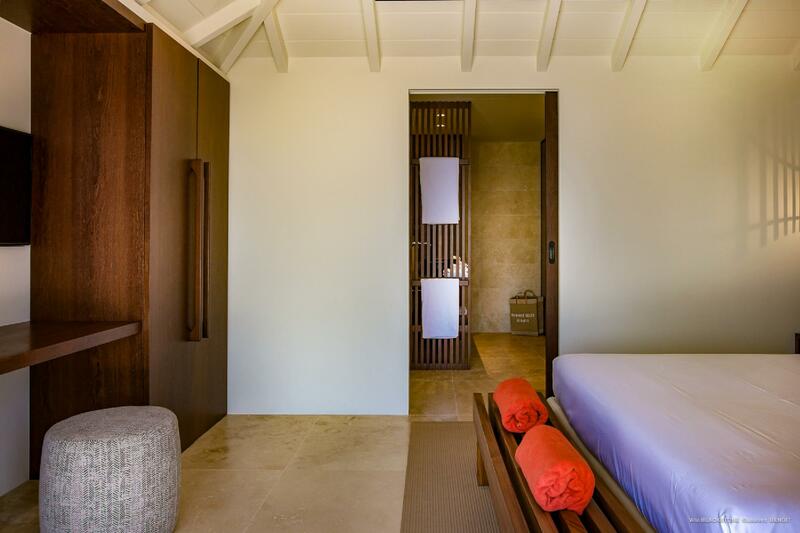 The villa is fully wheelchair accessible, with one of the bedrooms under the same roof as the living area, and a lift from the parking area to the main level. 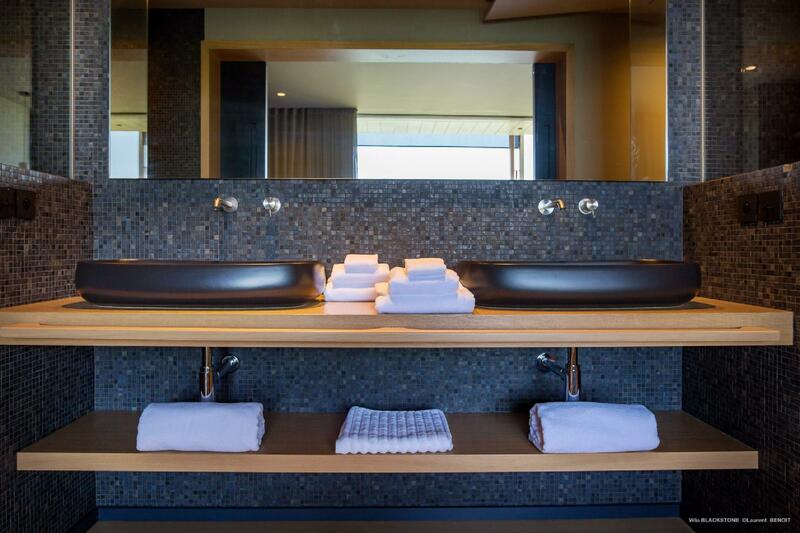 And of course the Sibarth concierge and orchestrate details to accommodate or delight any group of guests. 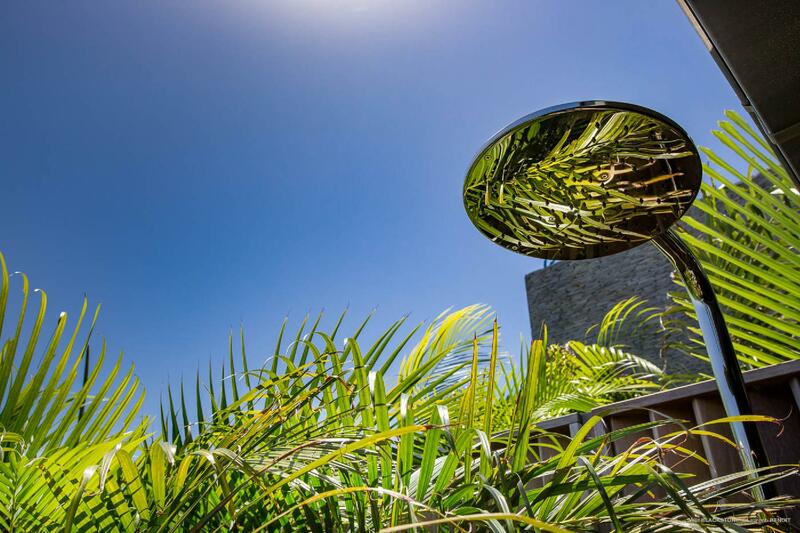 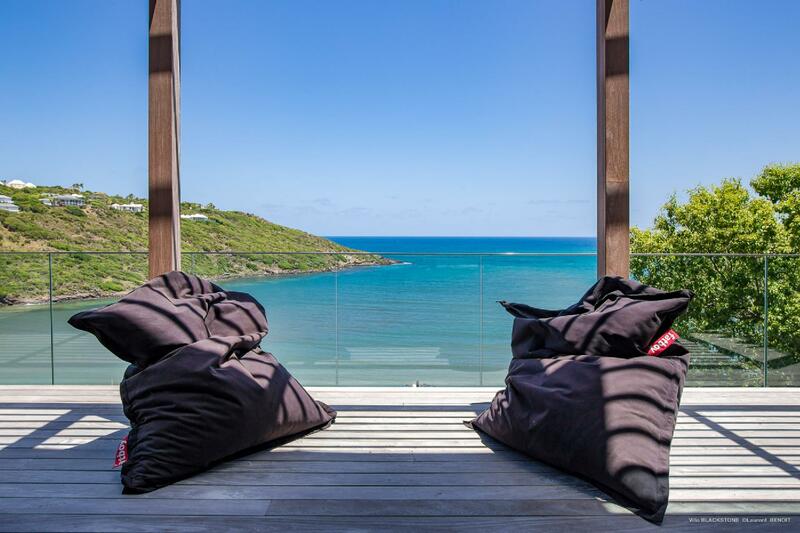 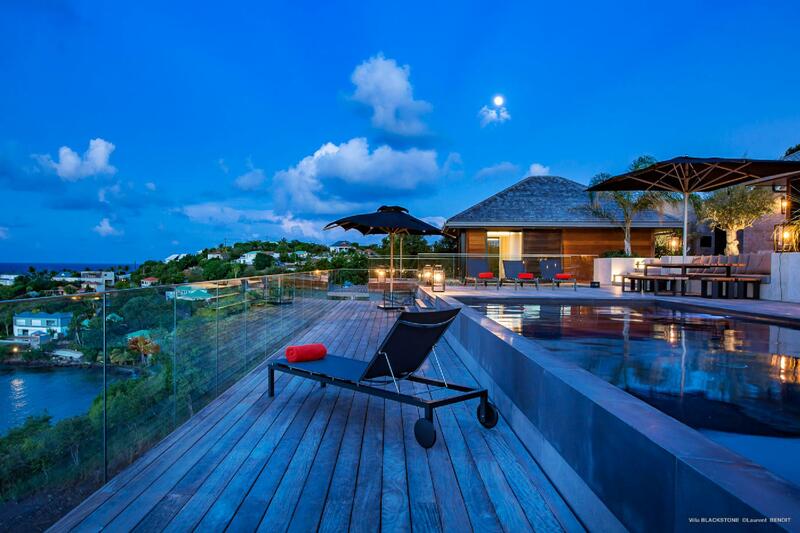 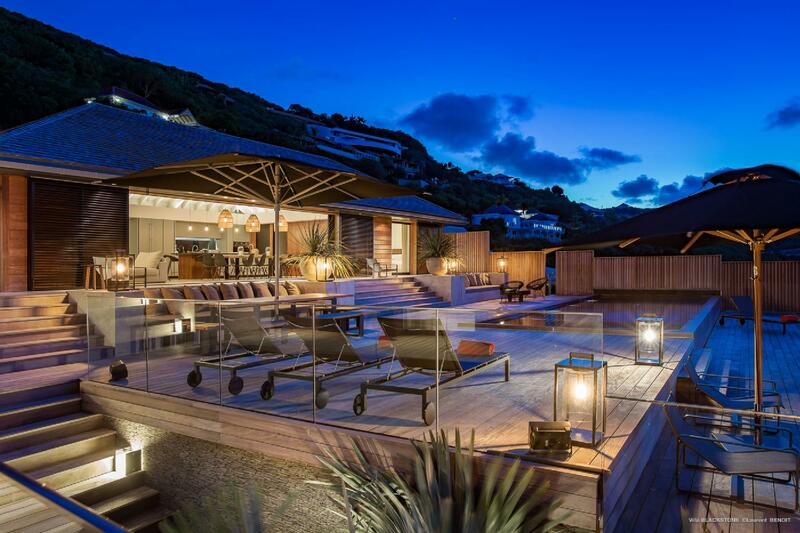 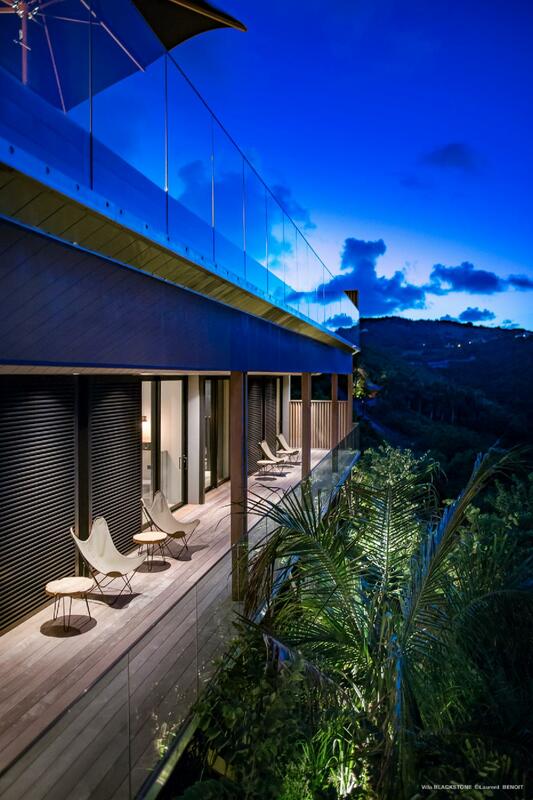 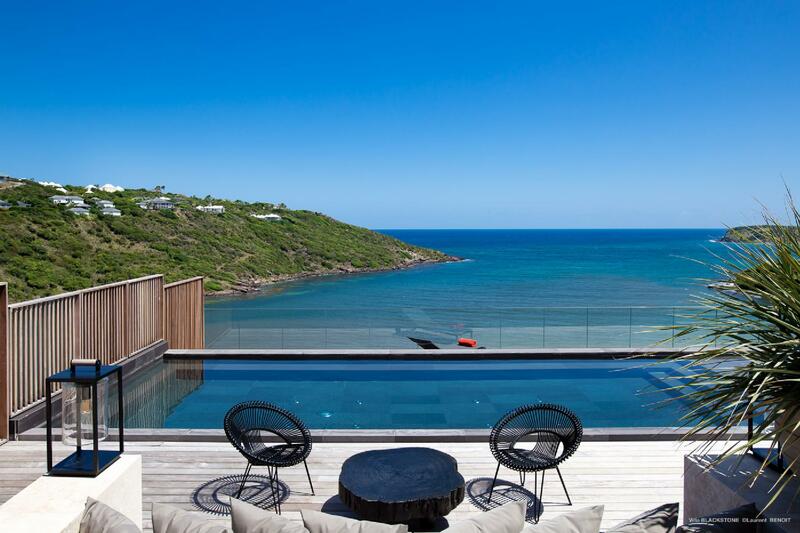 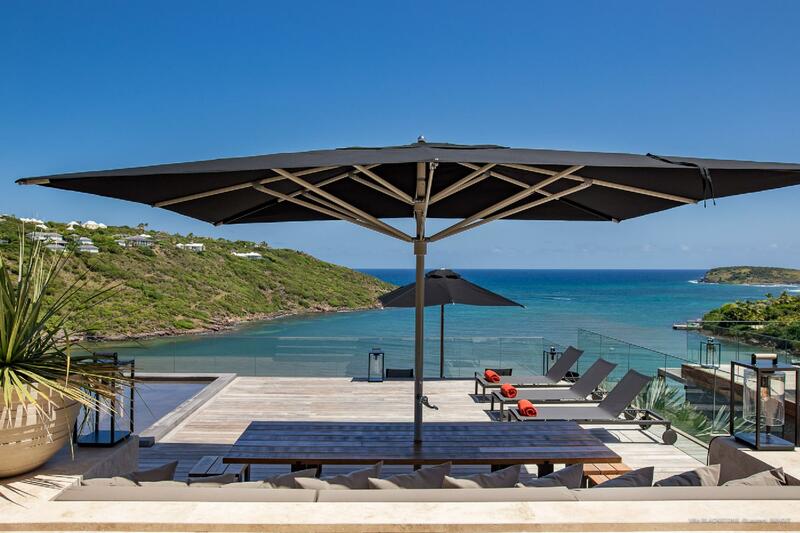 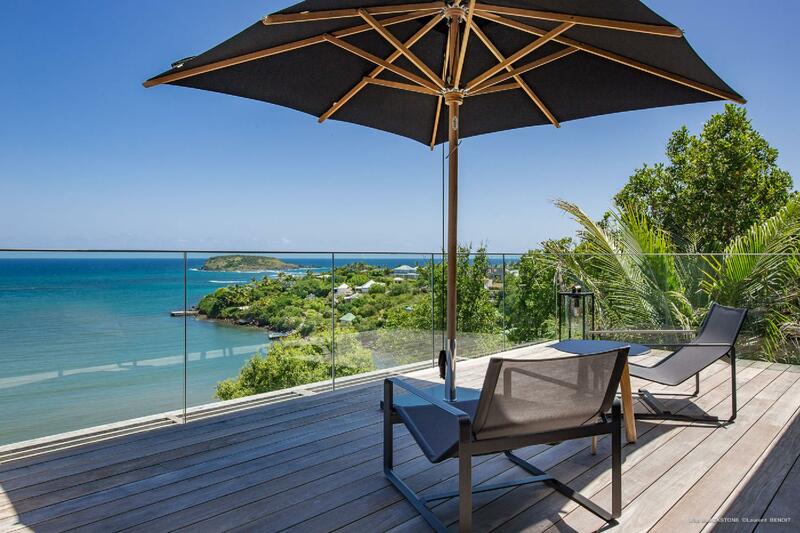 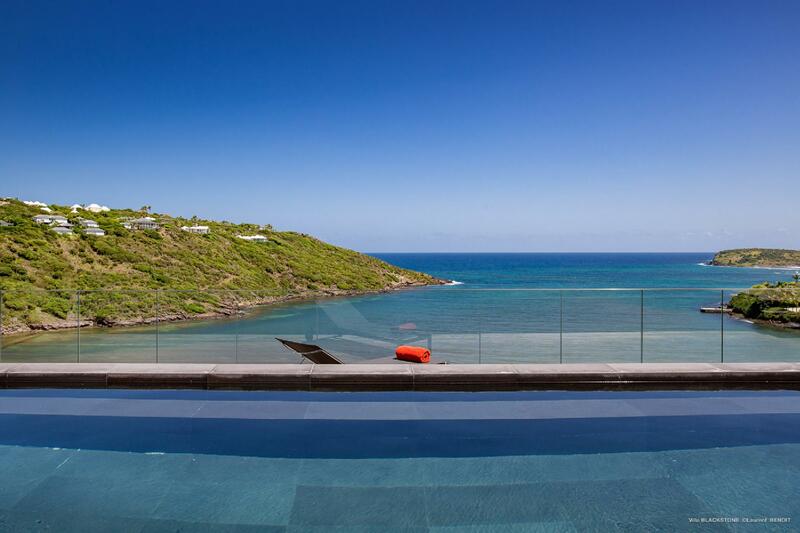 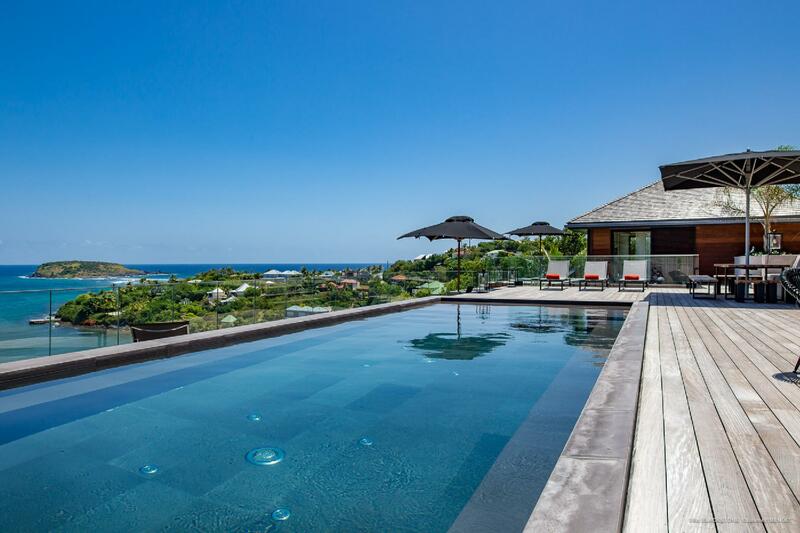 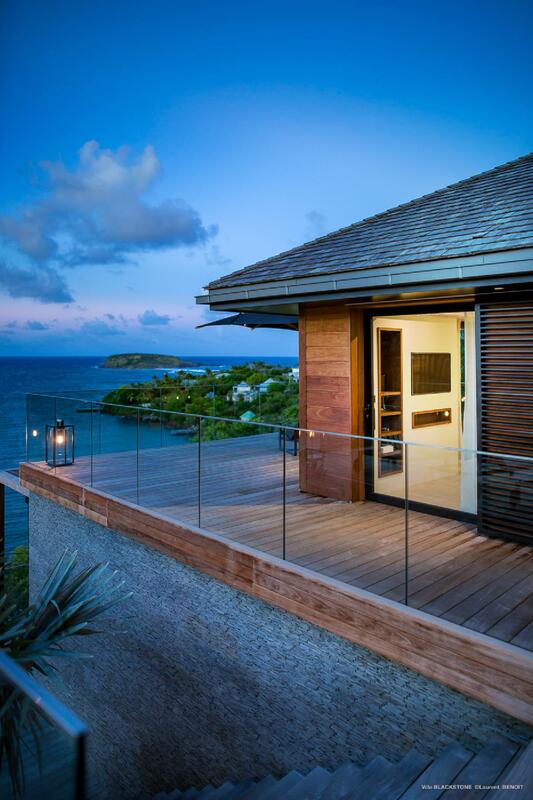 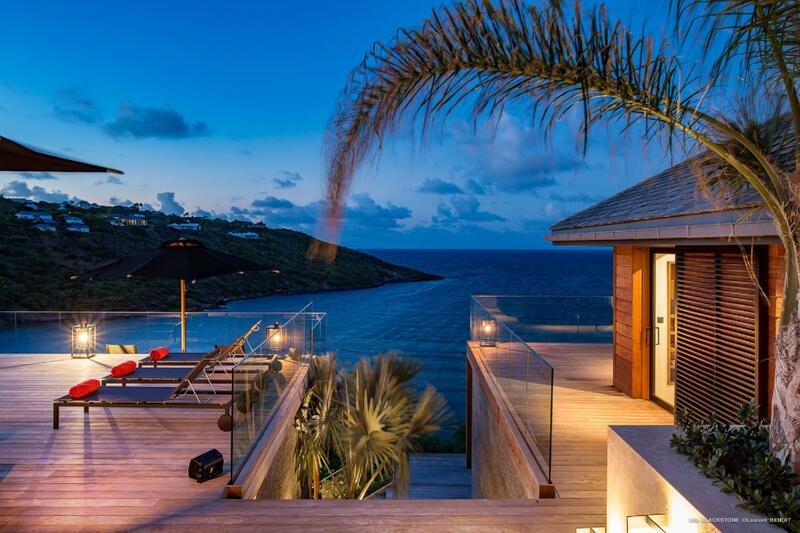 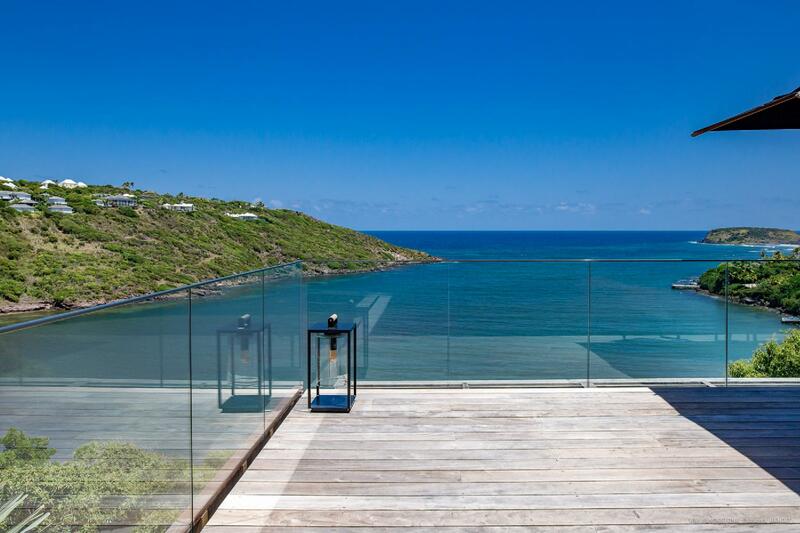 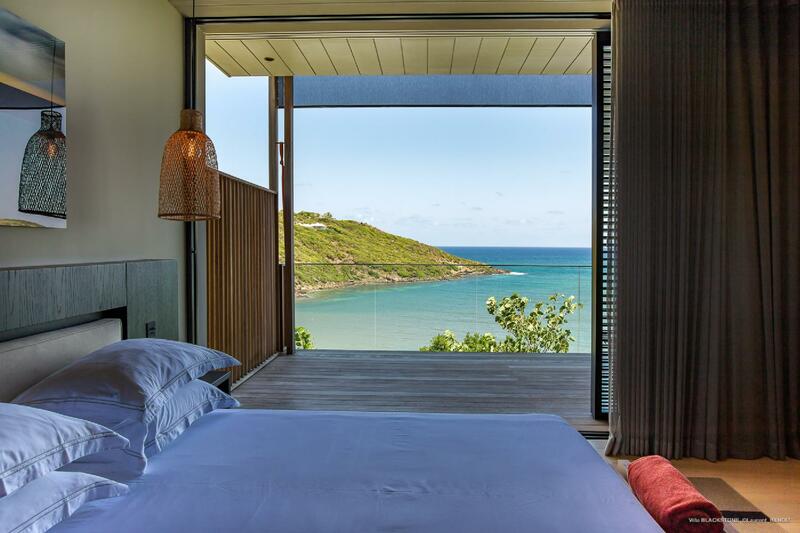 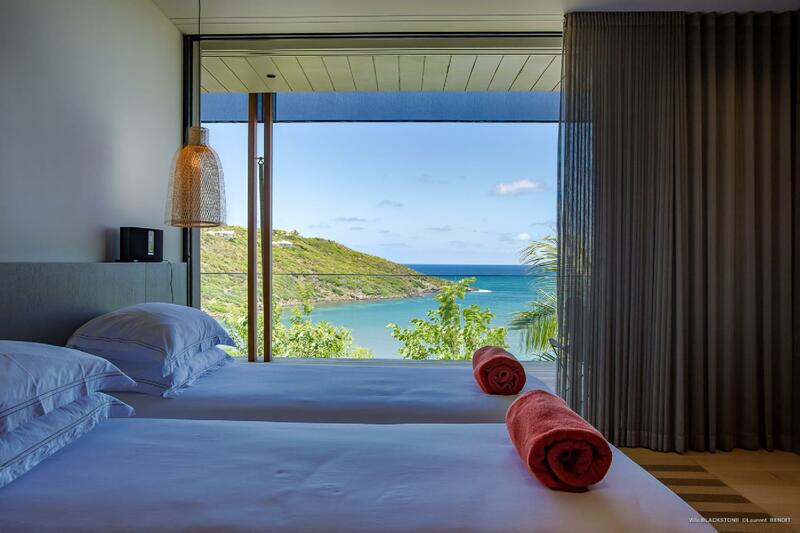 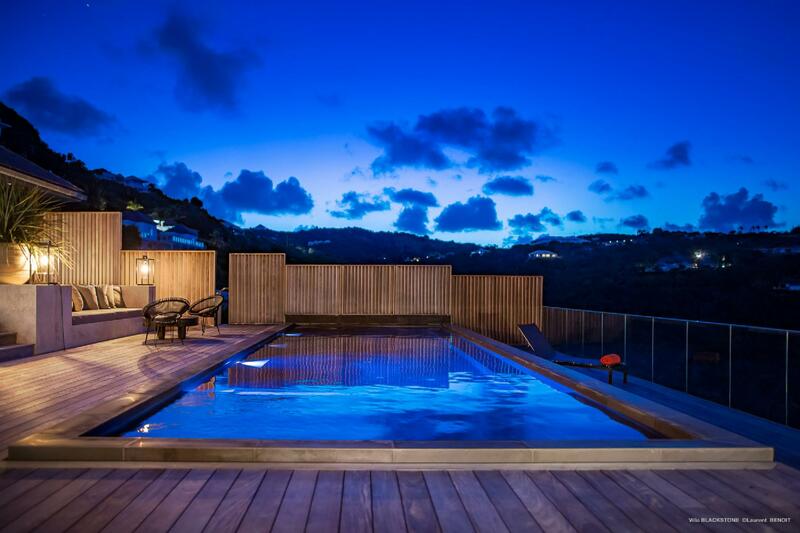 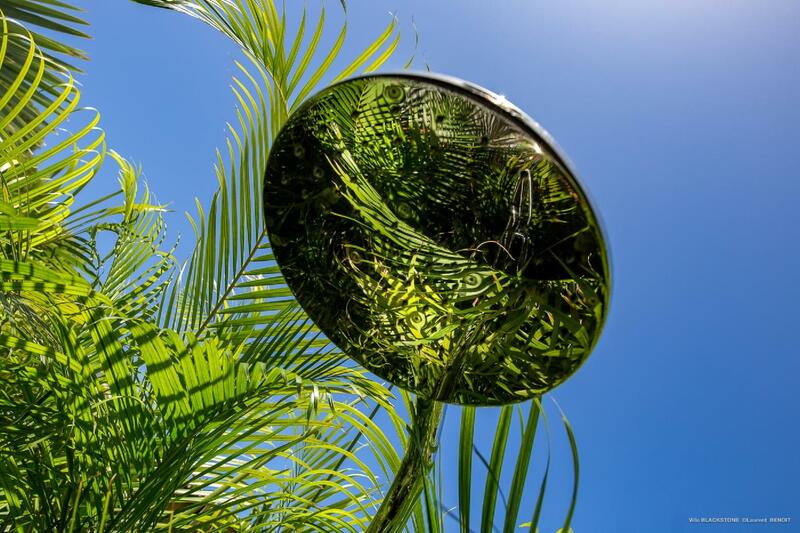 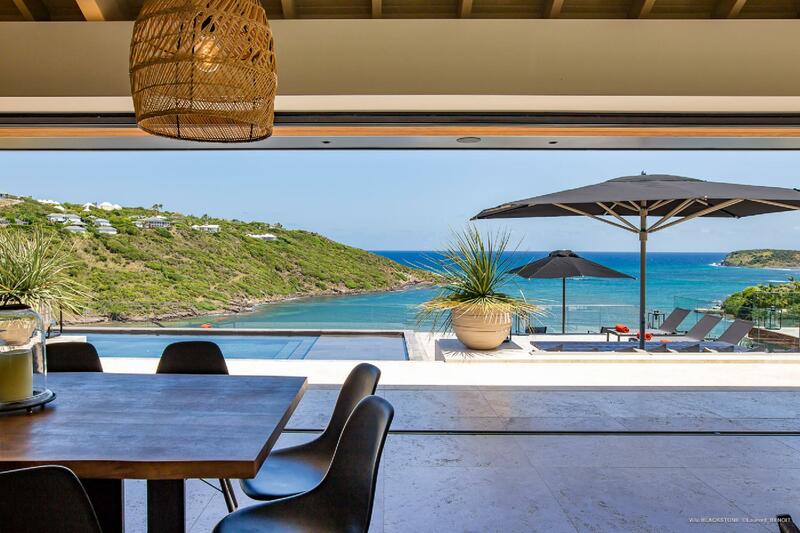 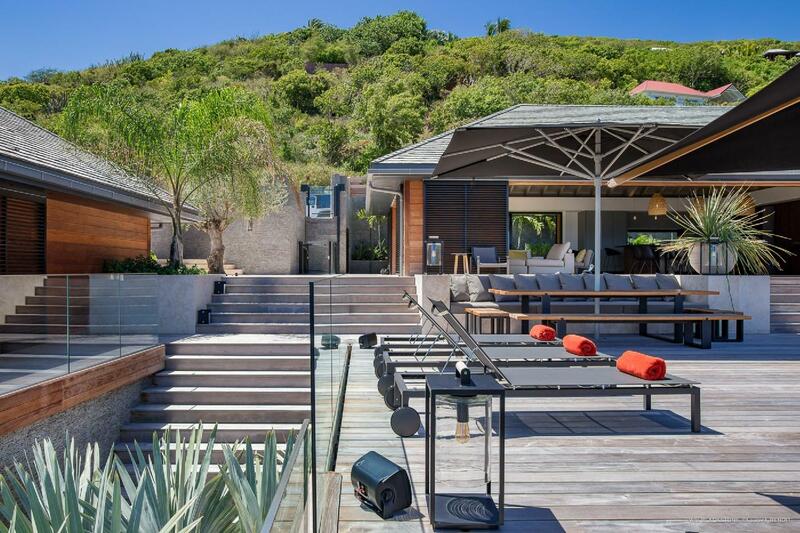 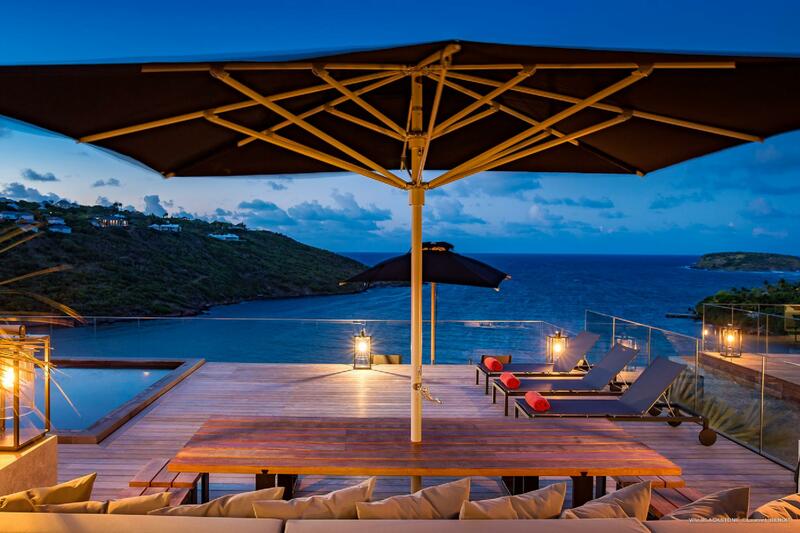 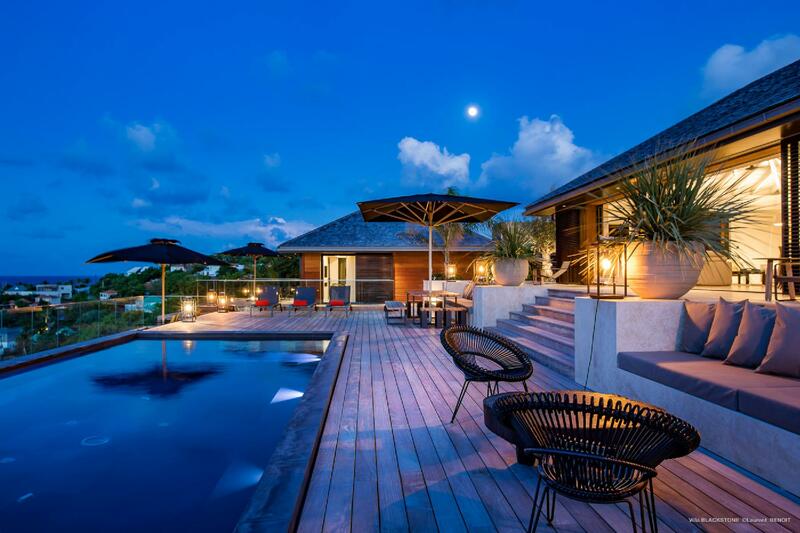 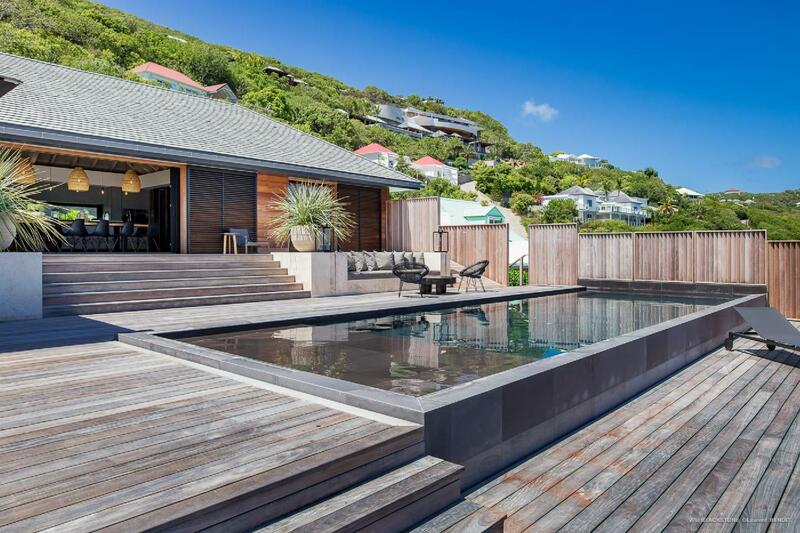 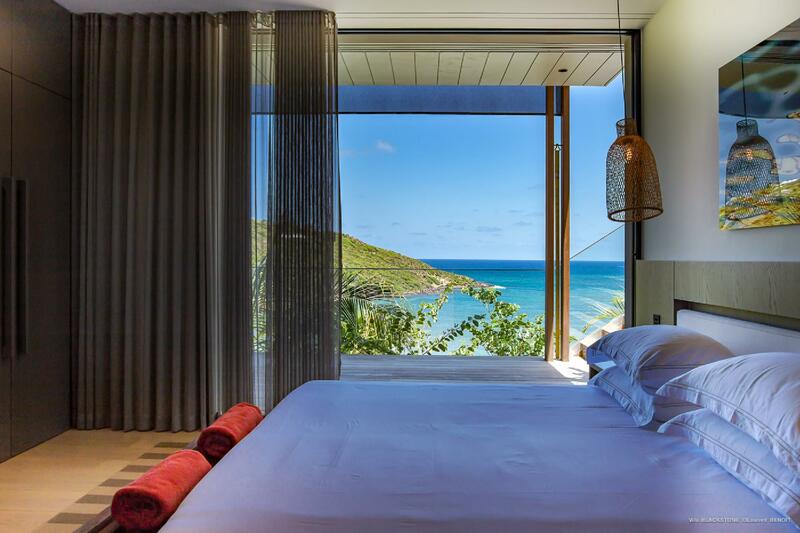 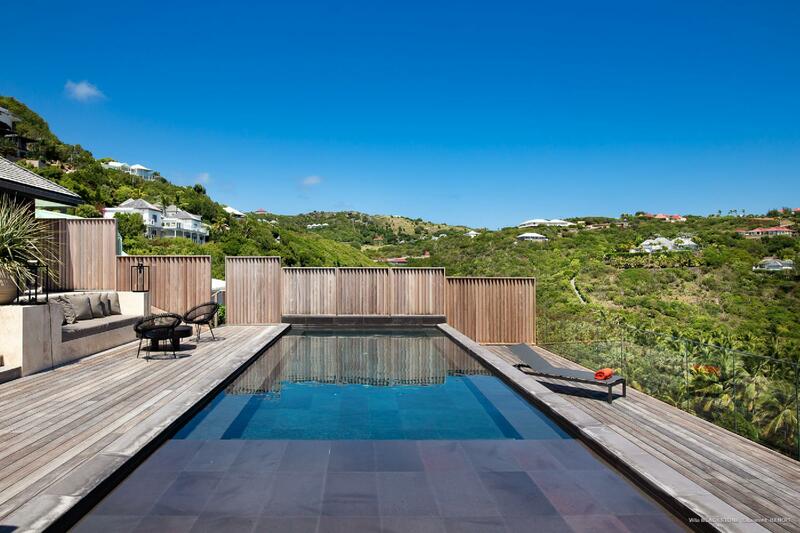 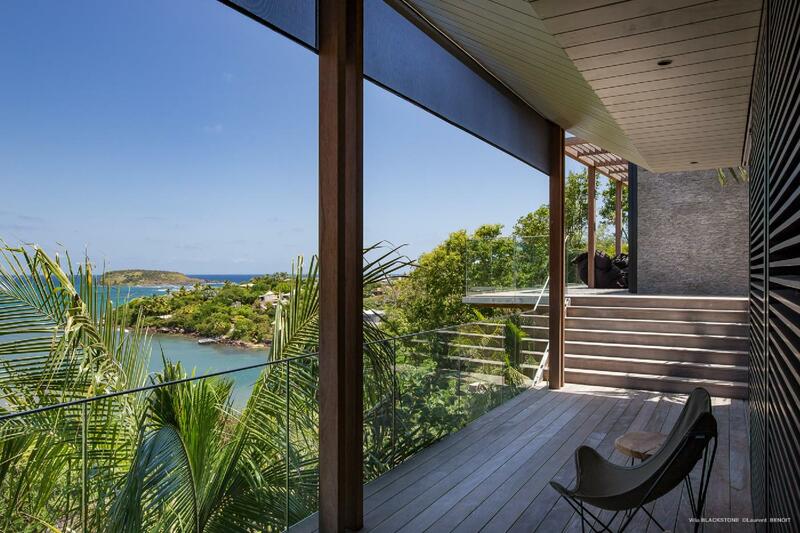 Its hillside location in Marigot not only gives it delightful sea views but also puts it within easy reach of some of the best of St. Barth: the beaches and boutiques. 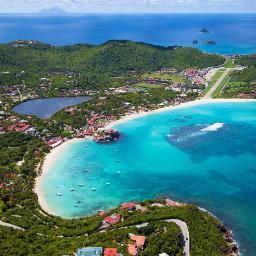 Marigot Beach is just a five-minute drive, and there are hotels with all their amenities ten minutes away. 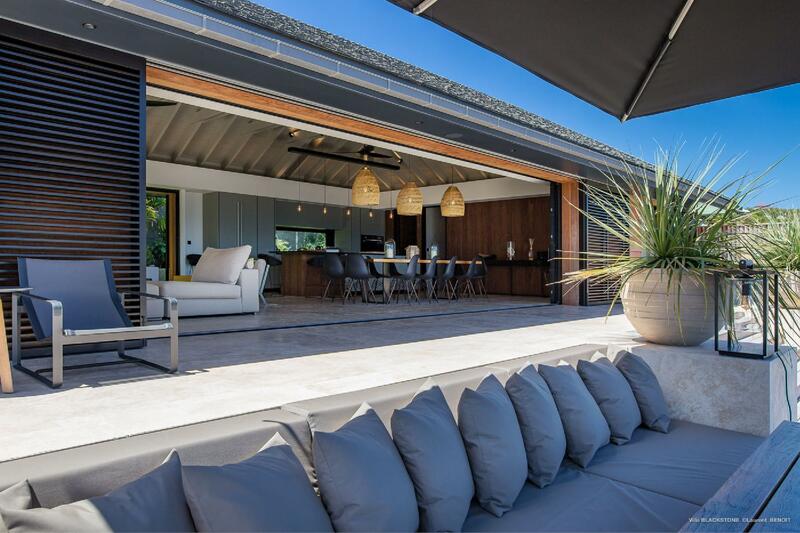 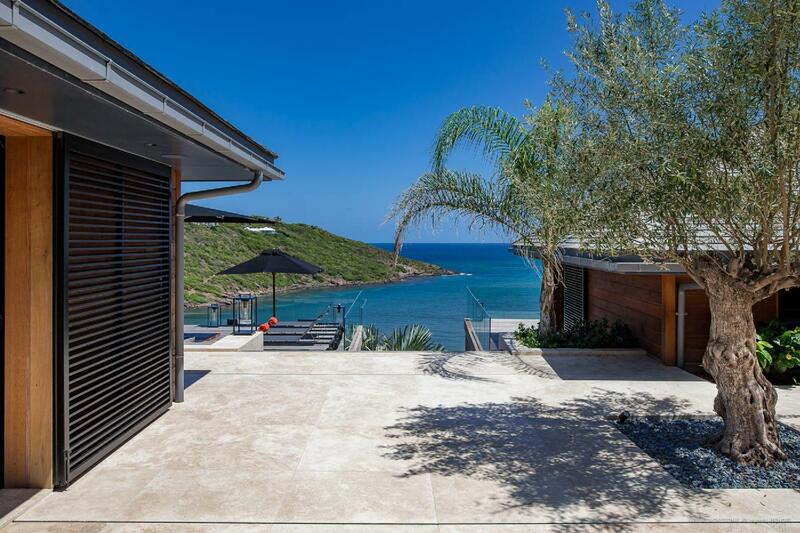 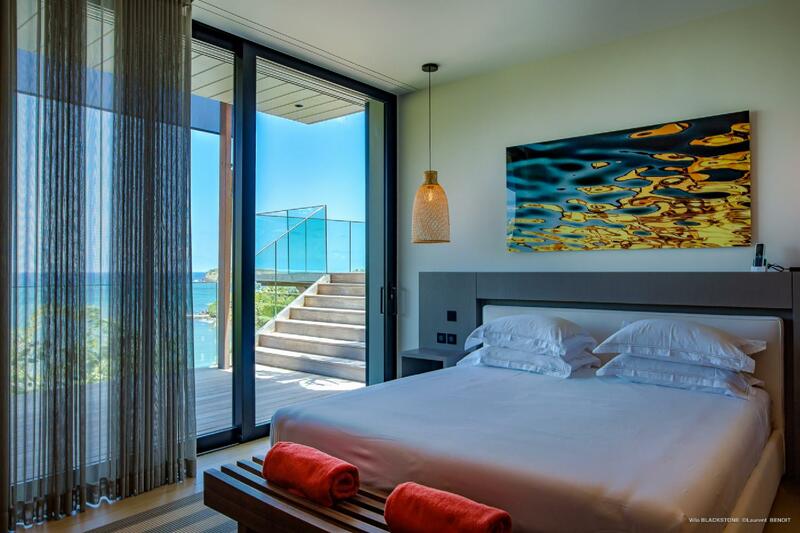 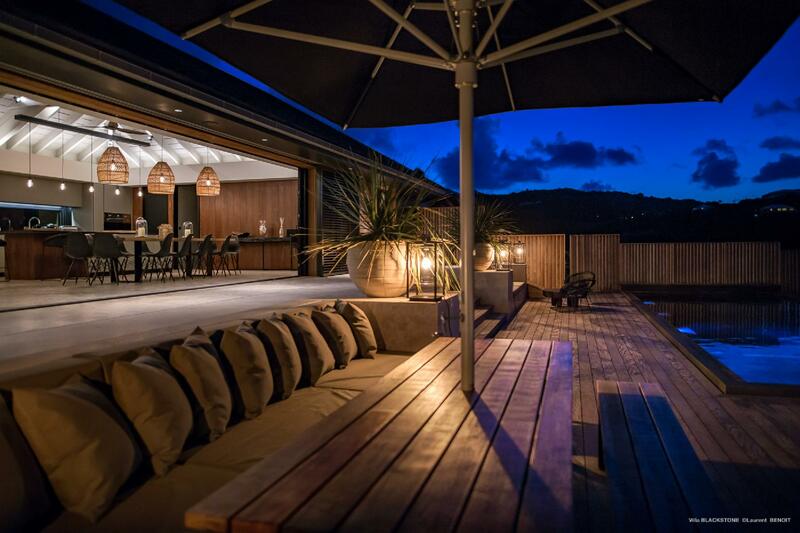 Back at the villa, social life revolves around a large main room with a high ceiling, sitting and dining areas, and glass doors that open wide to the terrace, allowing the cool sea breeze to waft in. 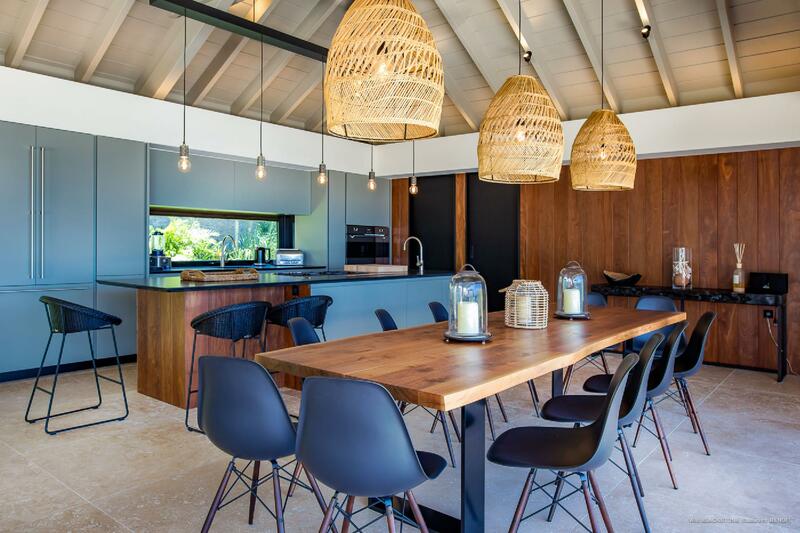 The dining table seats 12 and is adjacent to a modern kitchen with a breakfast bar. 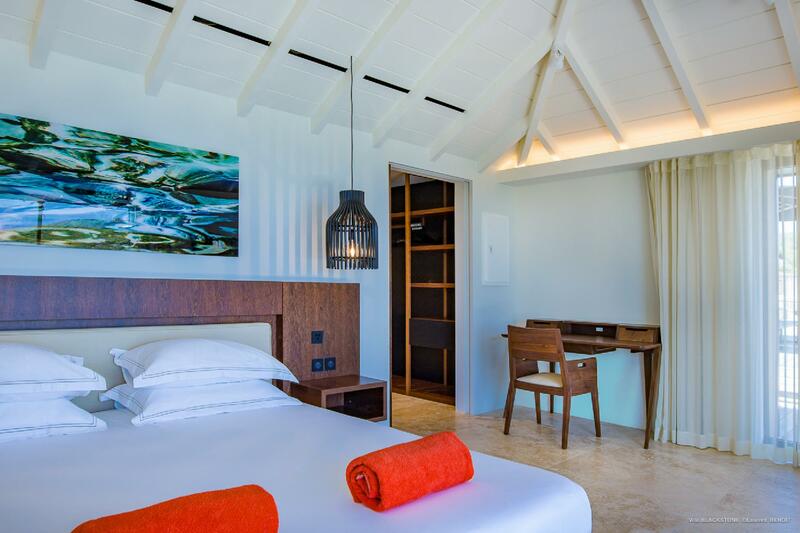 The bedroom on the main level is plenty luxurious, with a European king-size bed and an ensuite bathroom with indoor and outdoor showers. 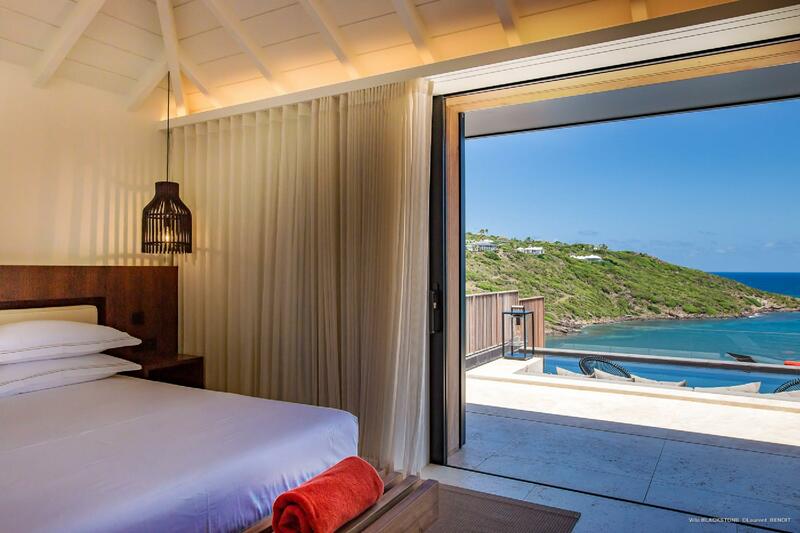 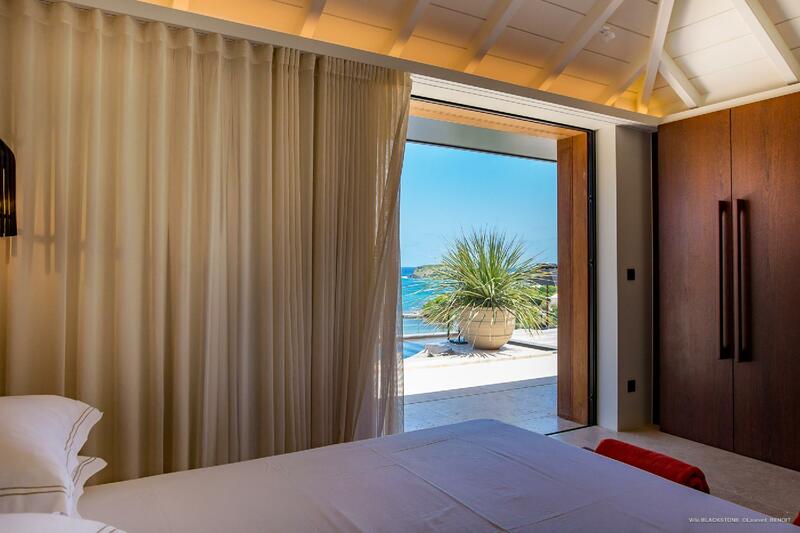 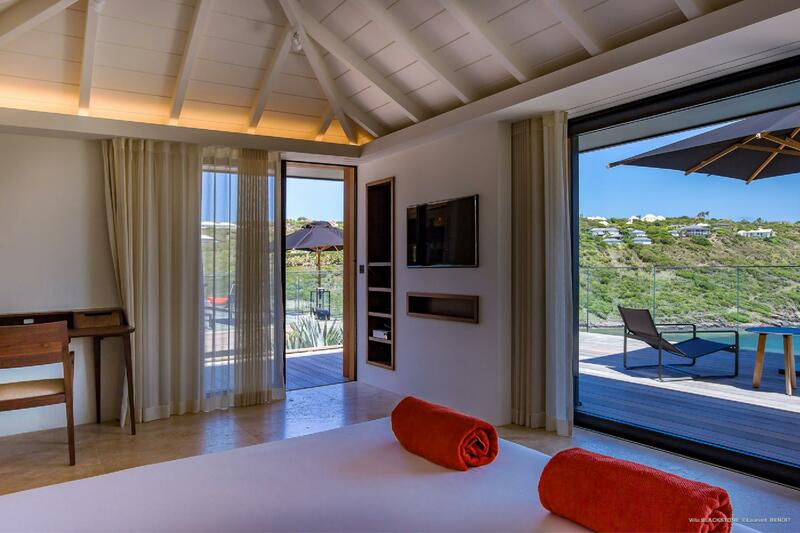 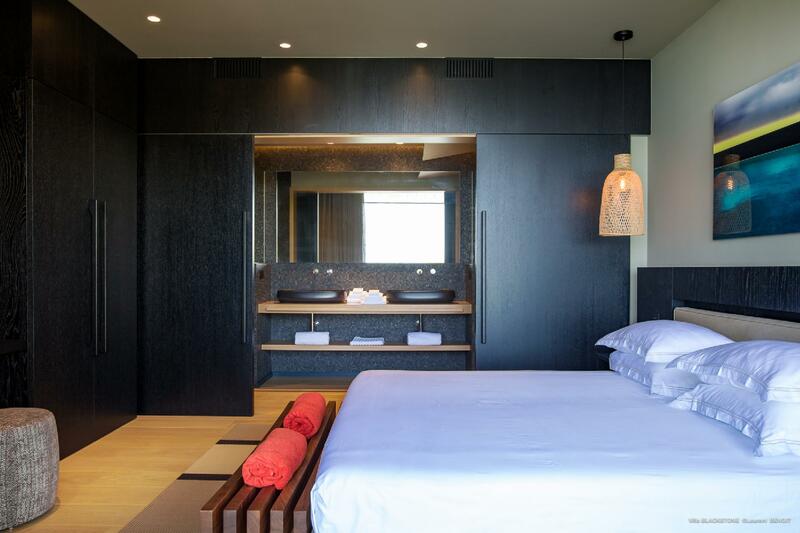 The larger master bedroom occupies its own bungalow a few steps down, close to the main wooden terrace, umbrella-shaded outdoor dining area, and the inviting infinity pool. 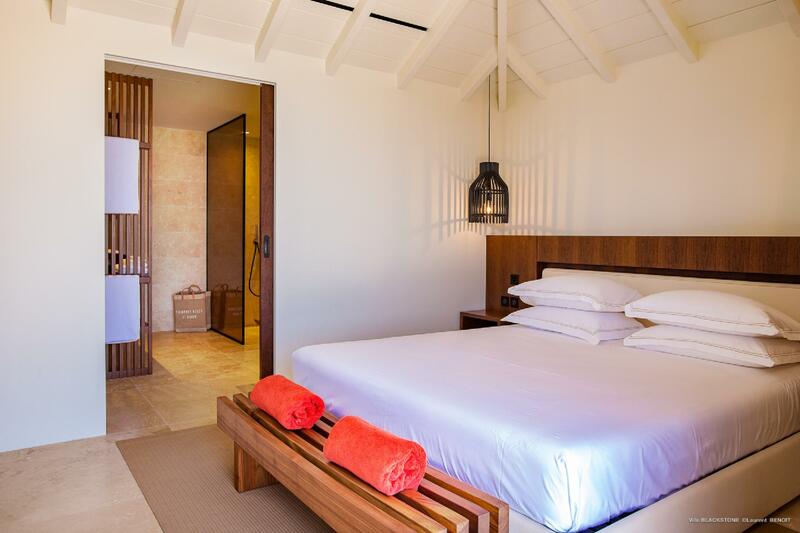 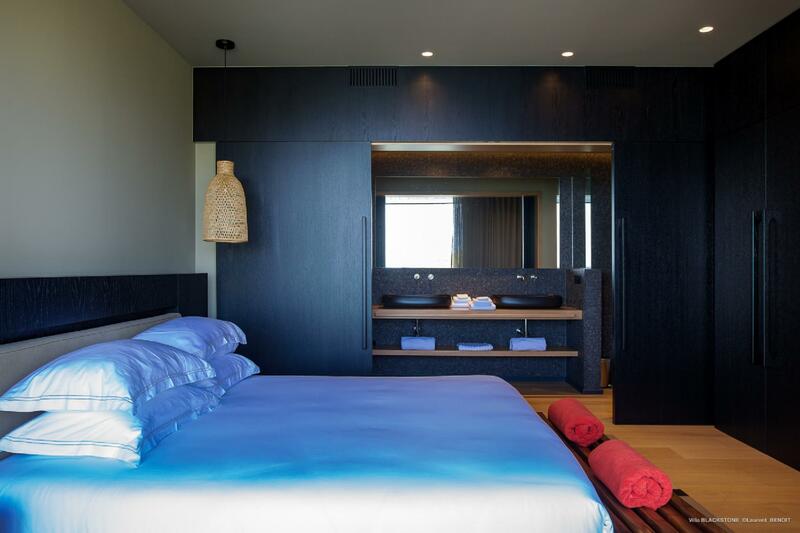 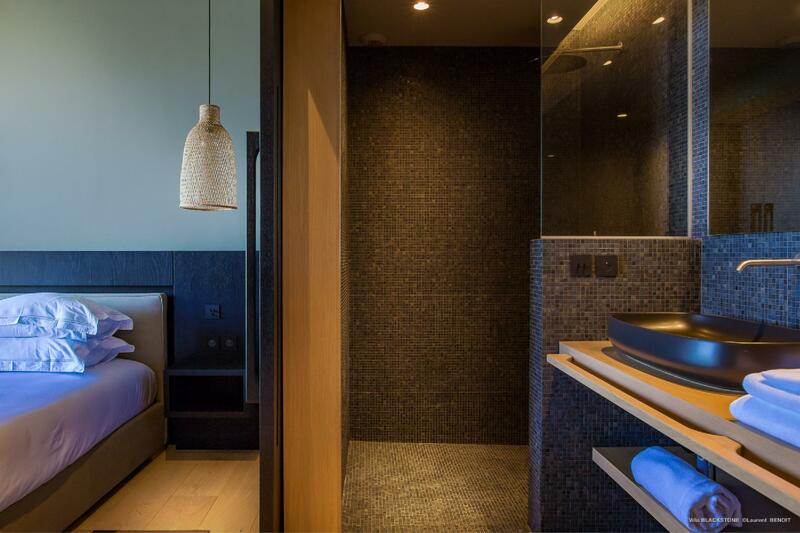 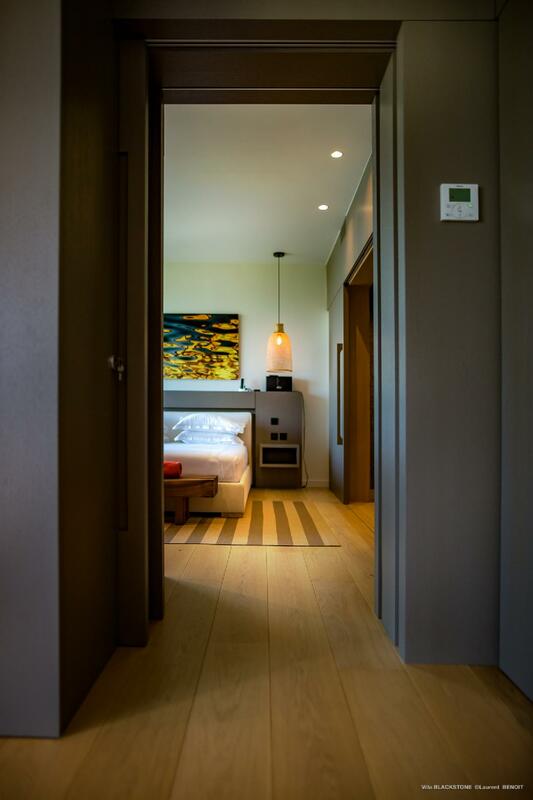 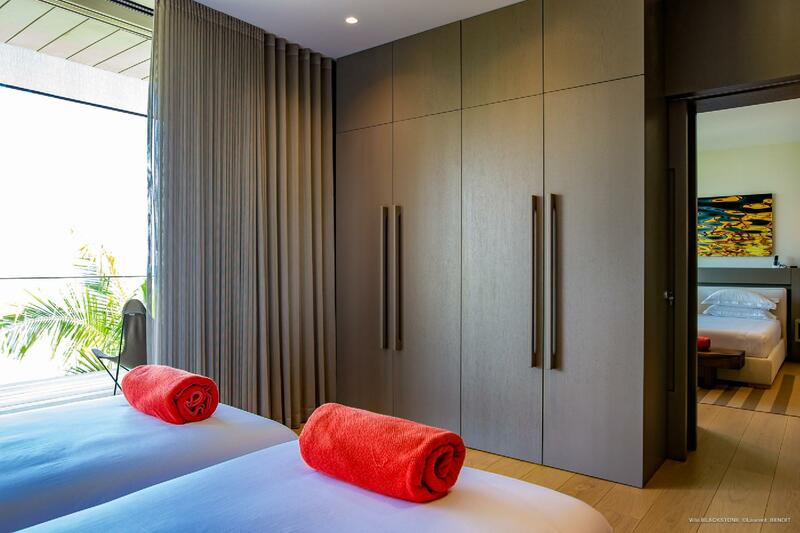 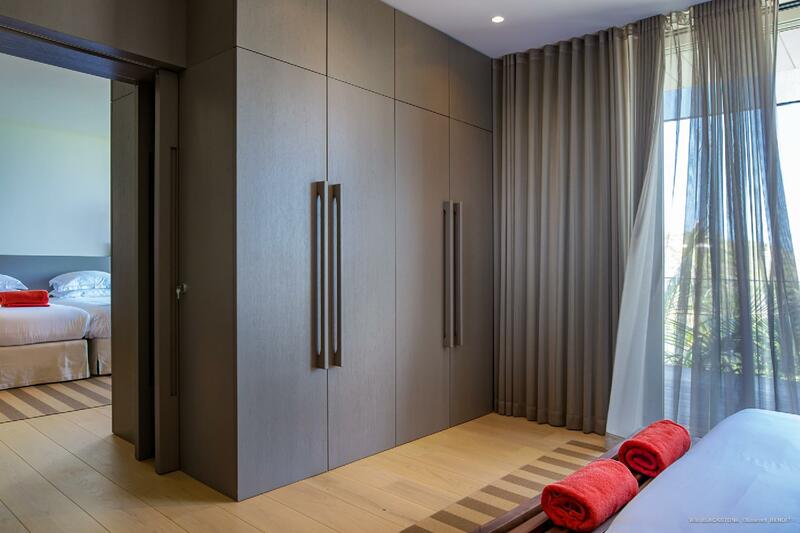 This room also has a European king-size bed and an ensuite bathroom with indoor and outdoor showers. 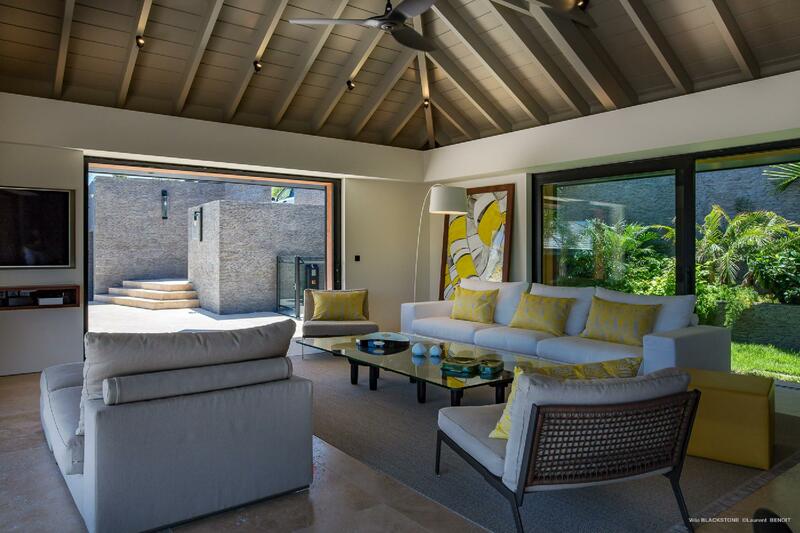 The other four bedrooms are on the lower level. 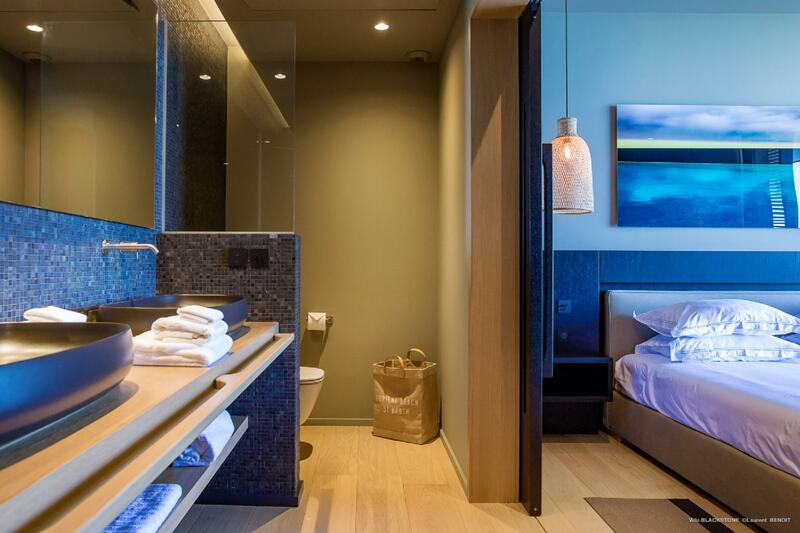 Three of them have European king-size beds, and one of those can connect to a room with two twin beds, making it a convenient choice for parents with young children. 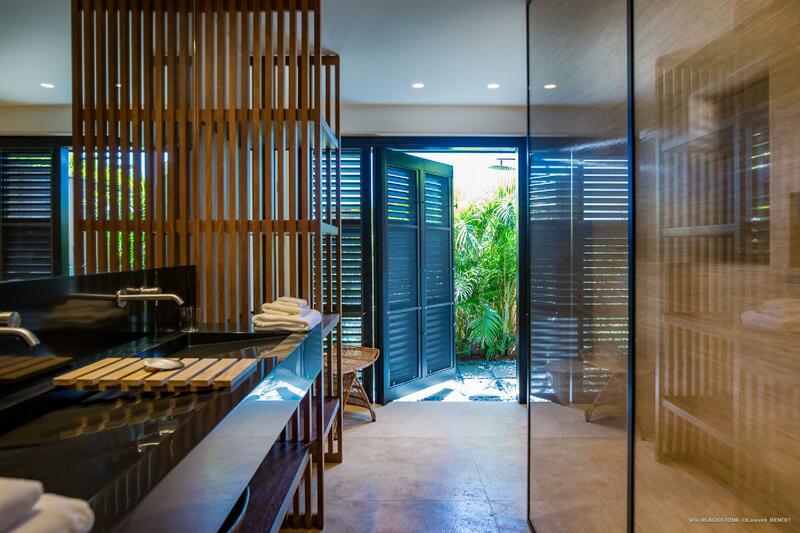 Alternatively, that connection can be closed, making each of the four rooms its own independent oasis. 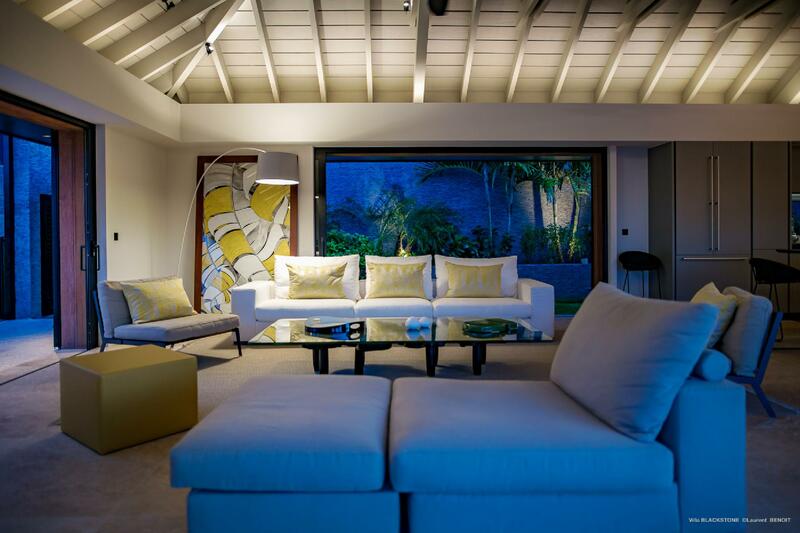 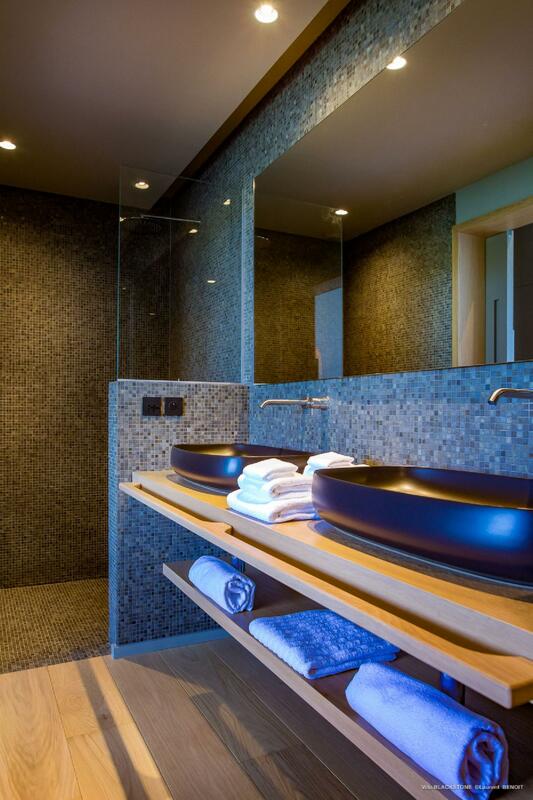 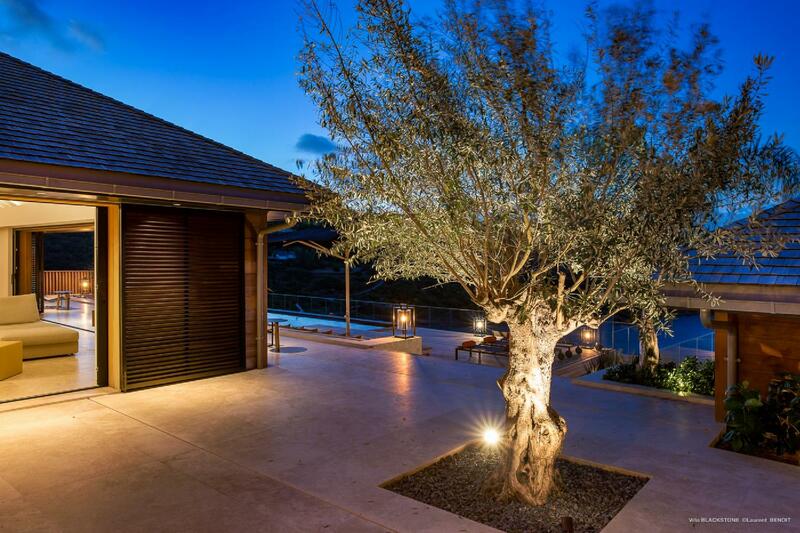 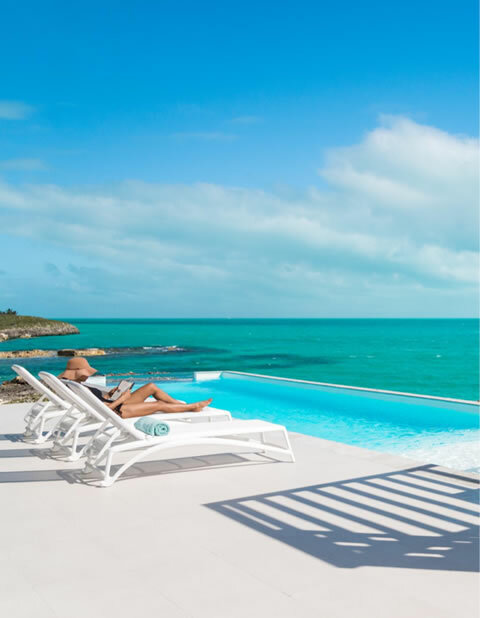 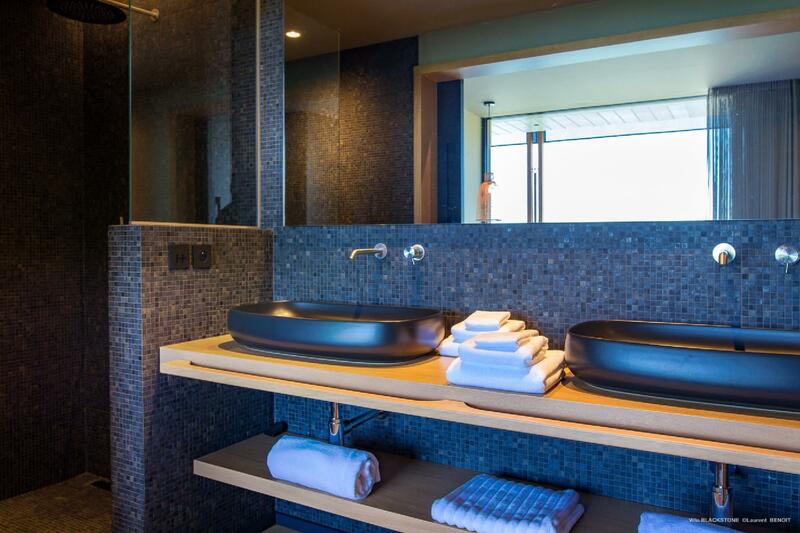 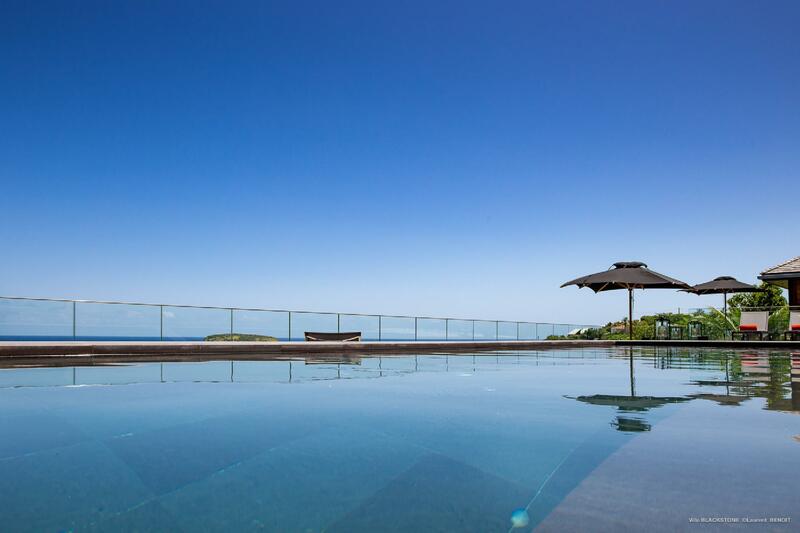 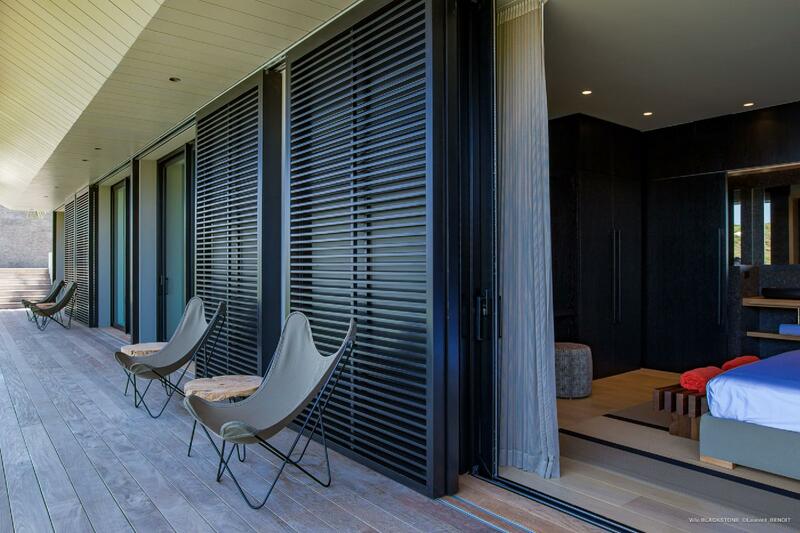 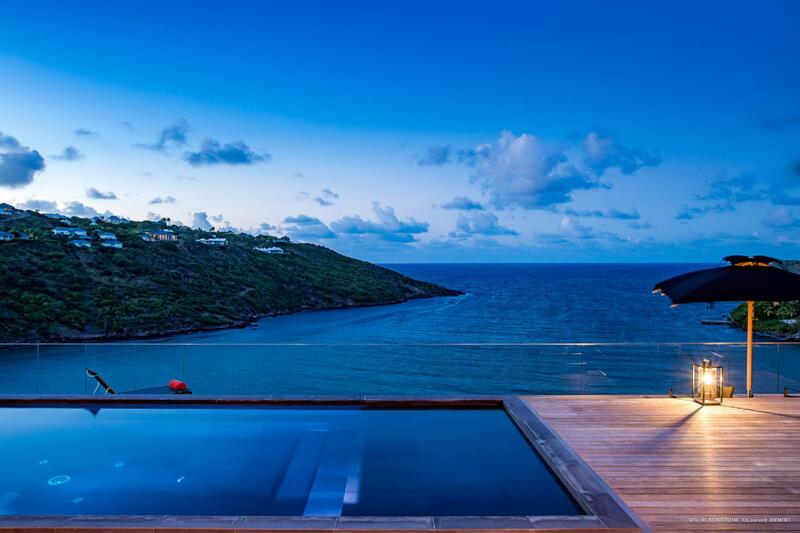 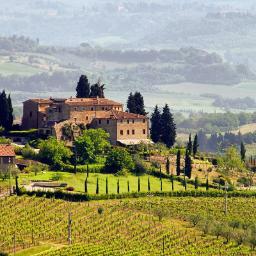 Sibarth Bespoke Villa Rentals is proud to offer the sublime simplicity of Villa Blackstone.